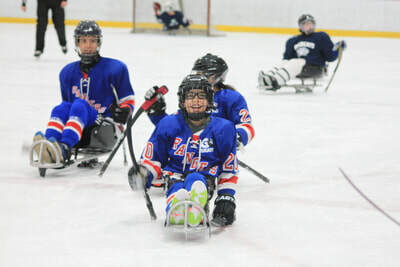 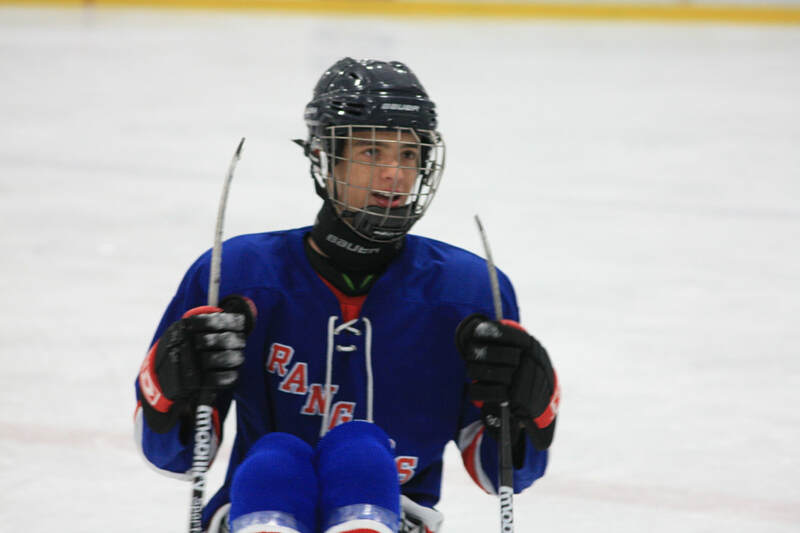 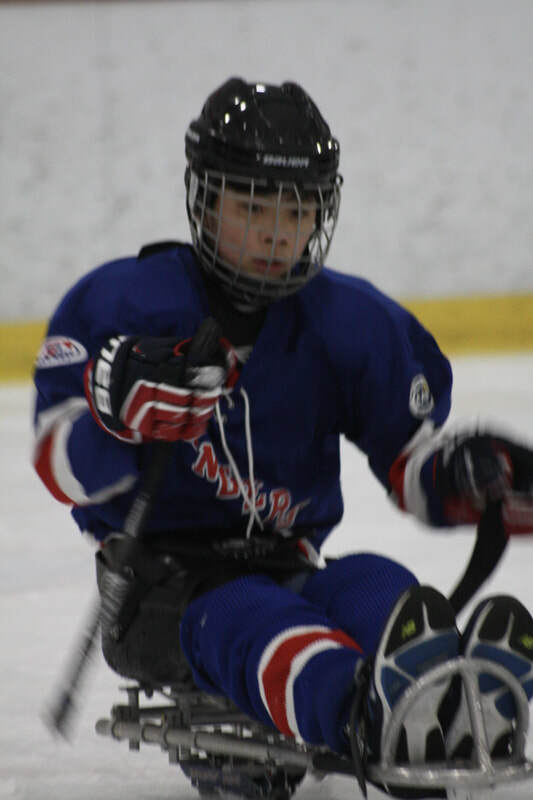 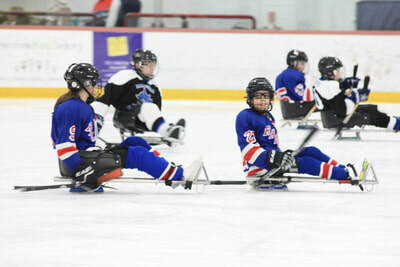 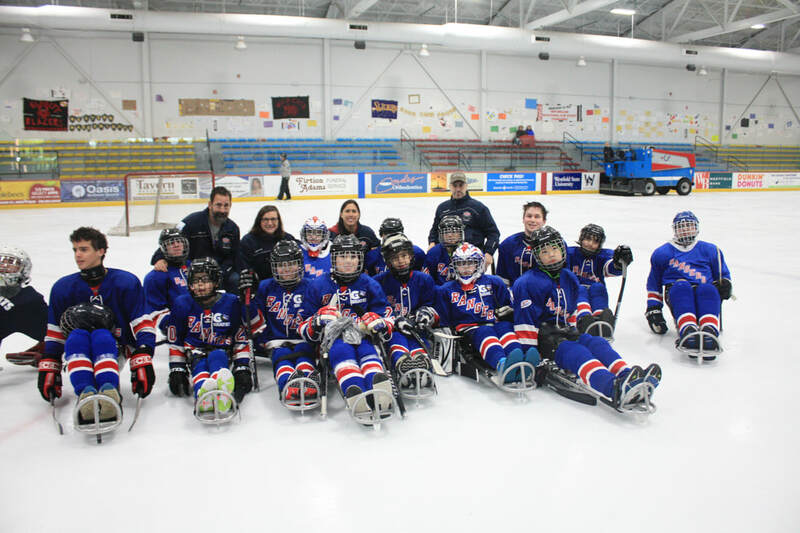 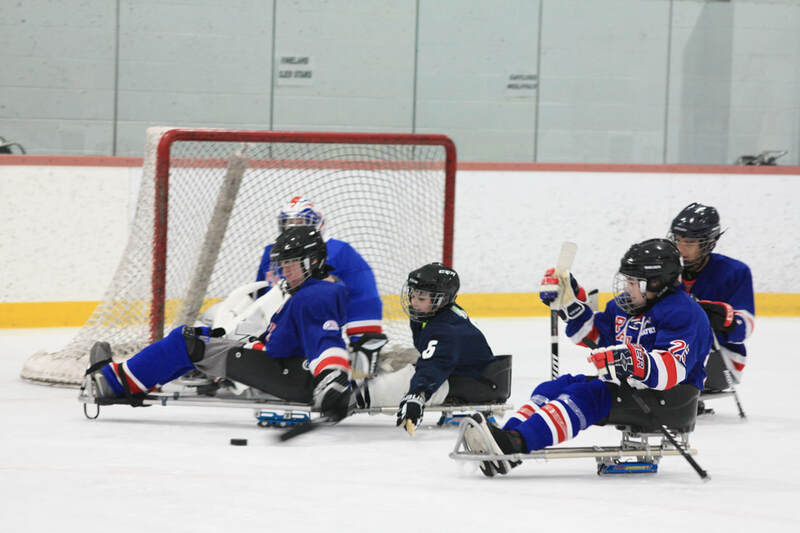 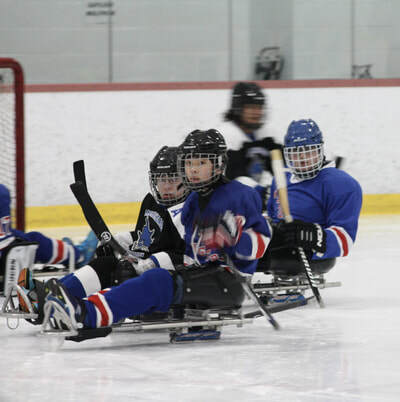 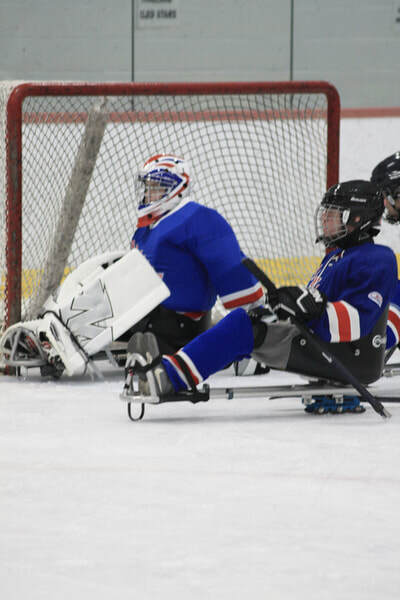 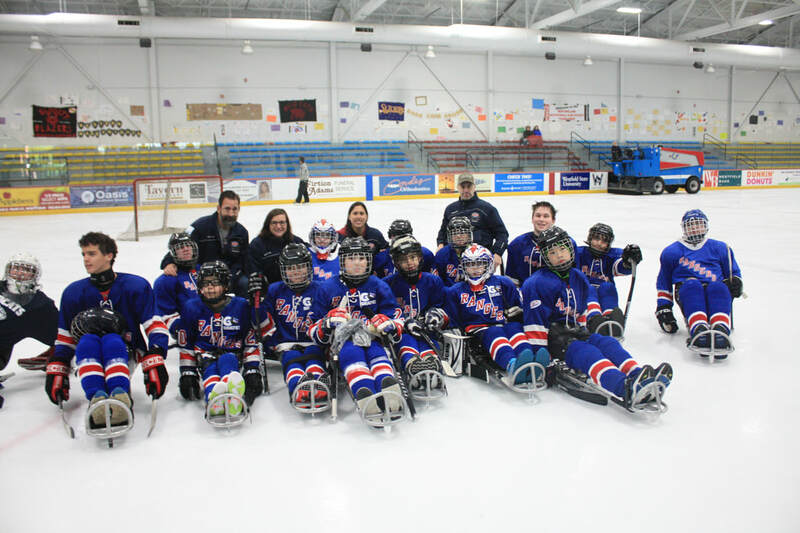 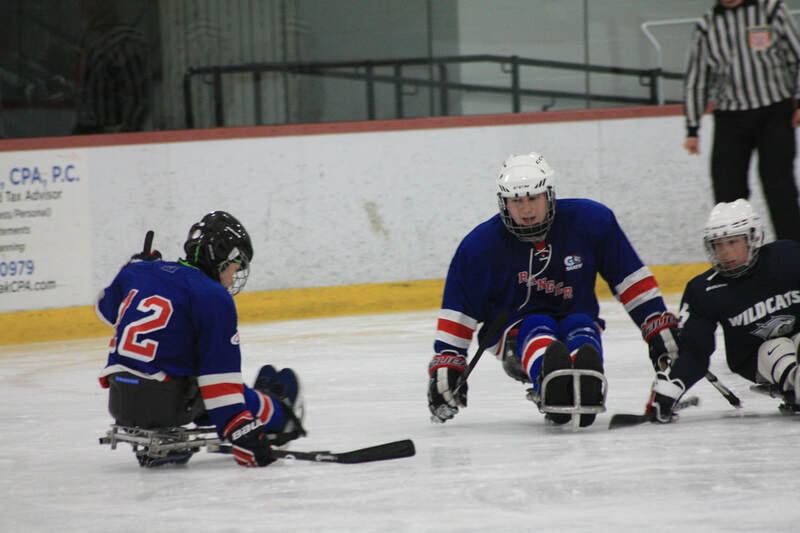 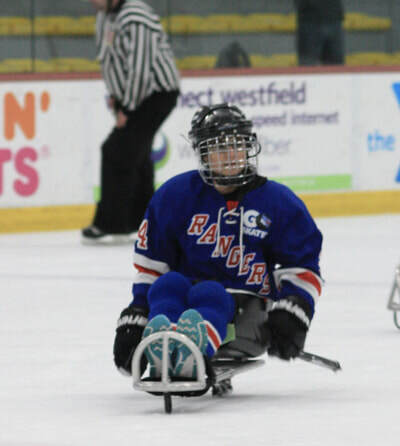 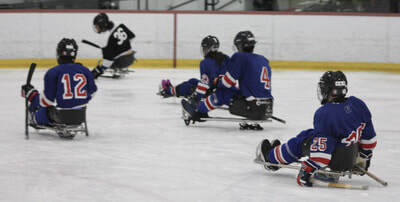 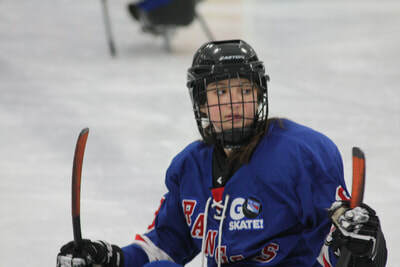 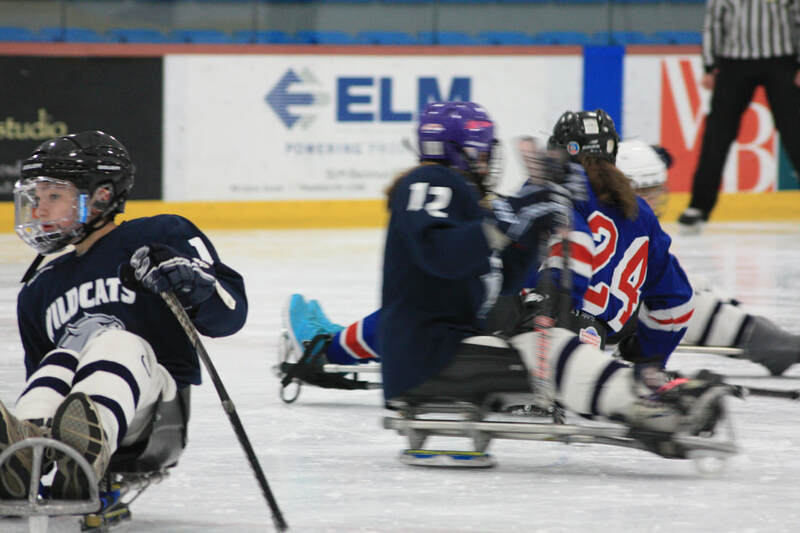 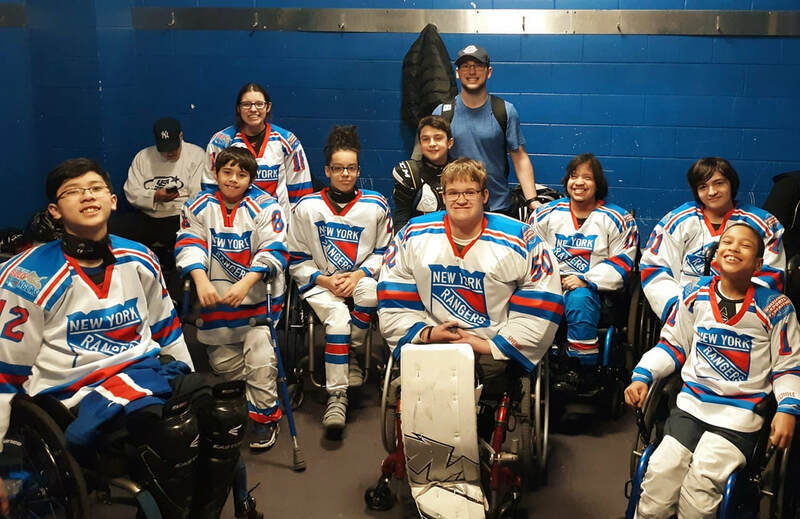 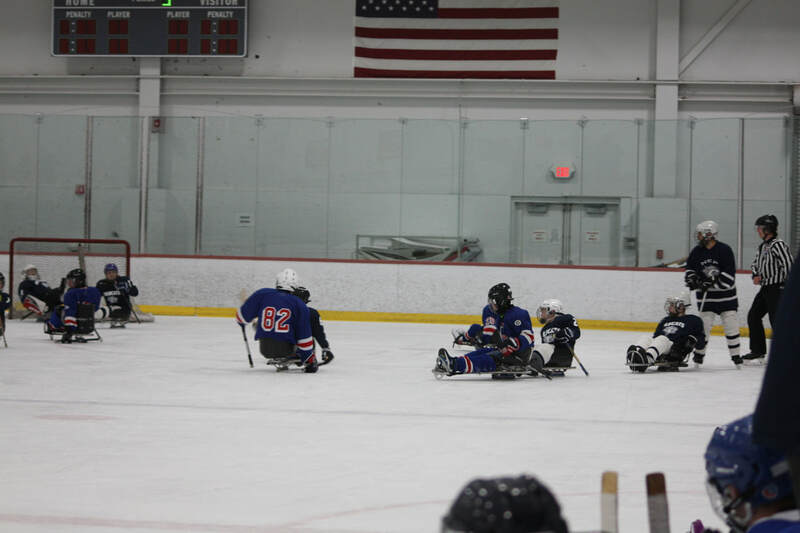 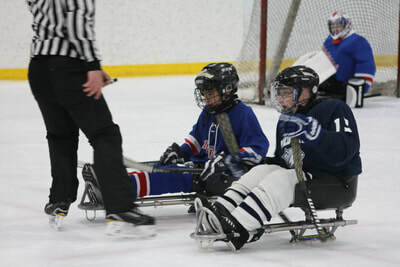 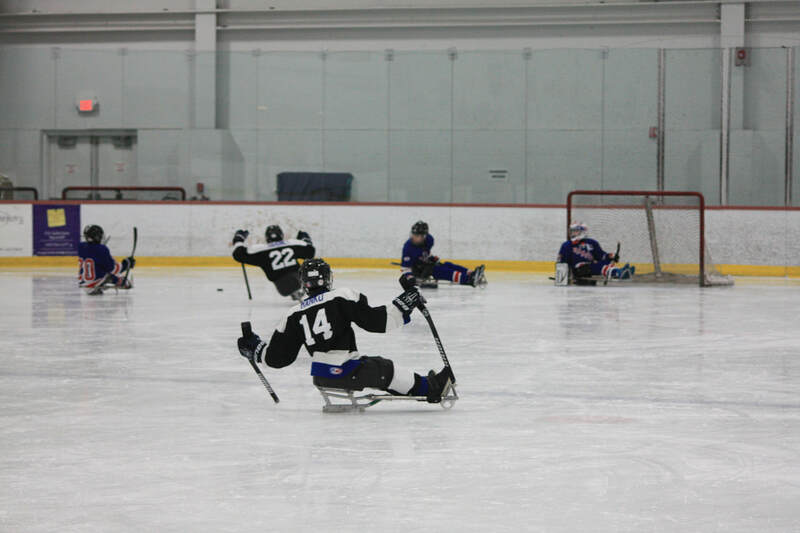 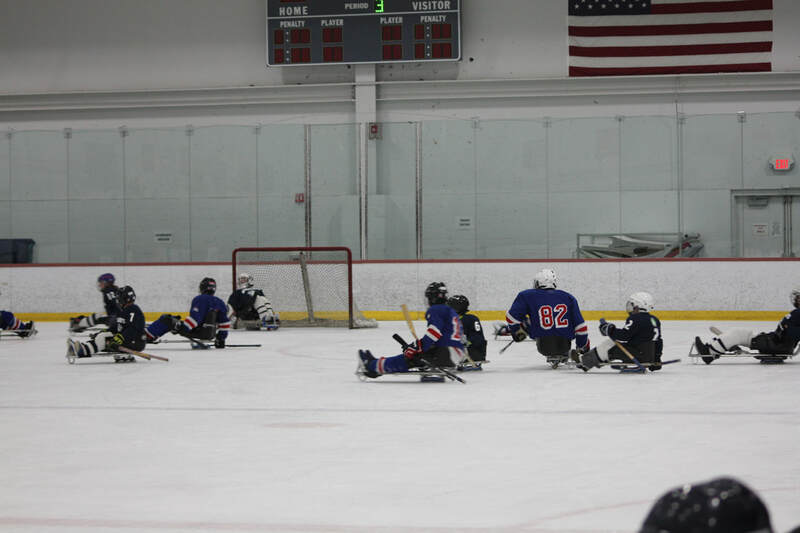 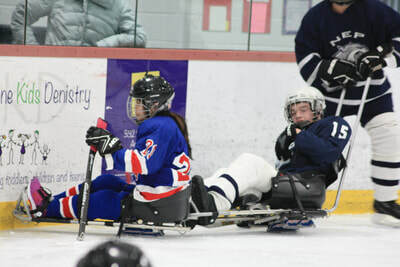 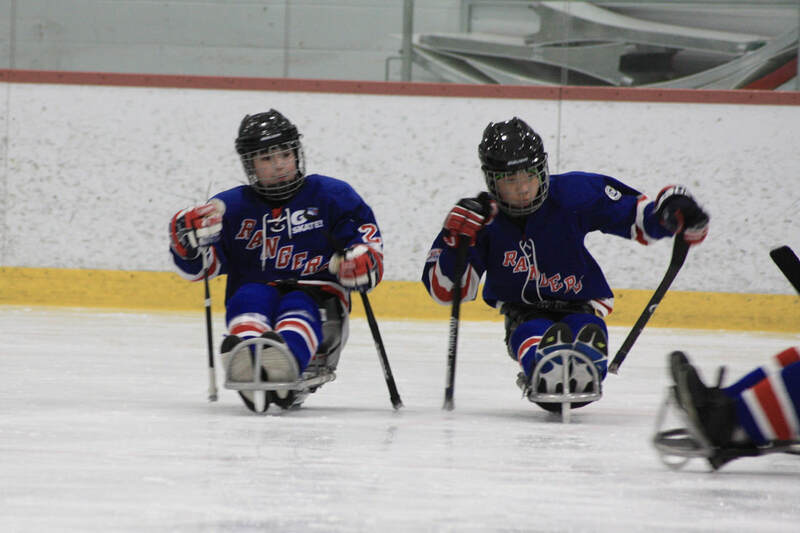 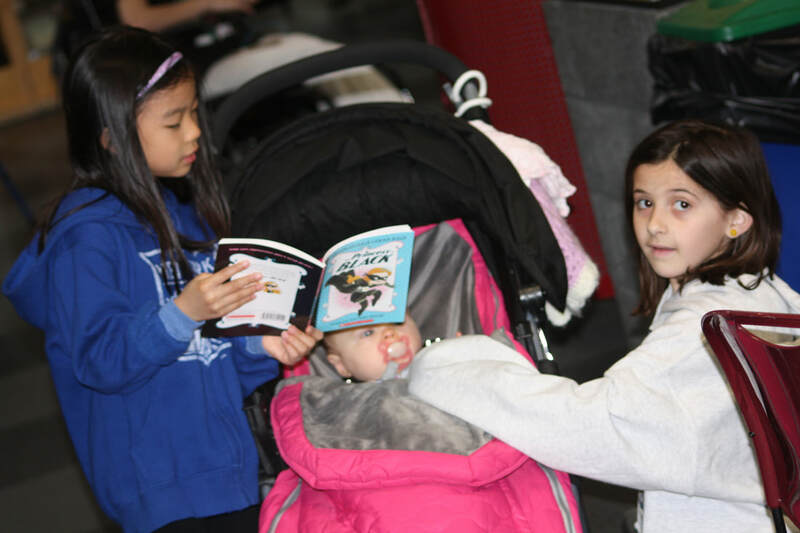 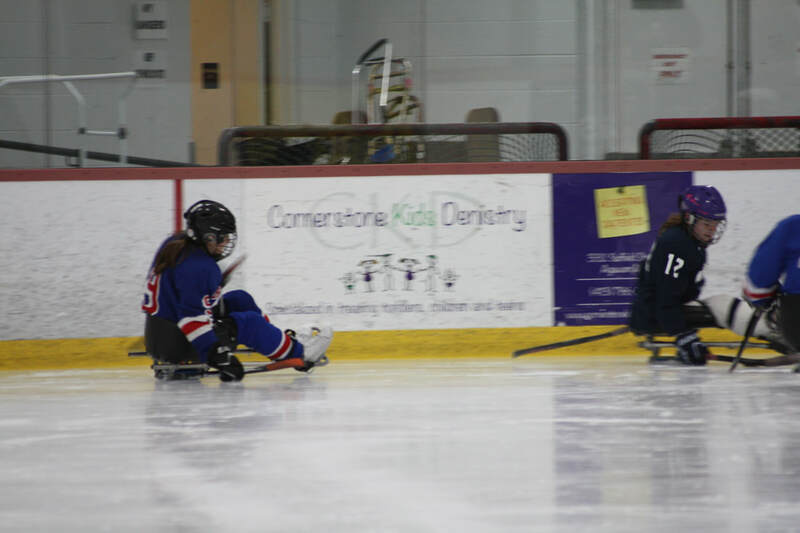 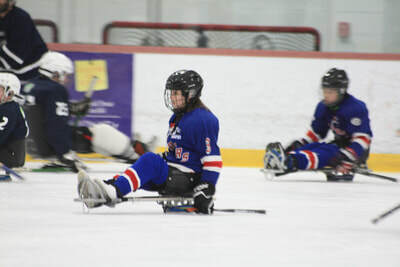 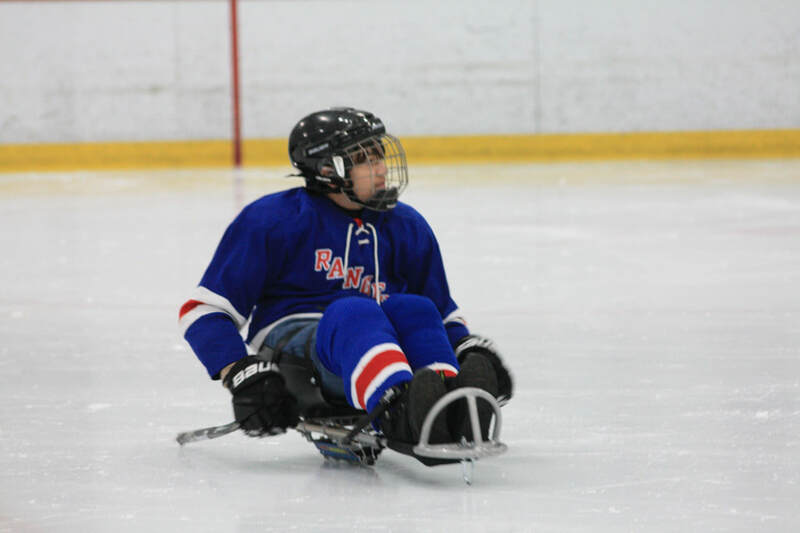 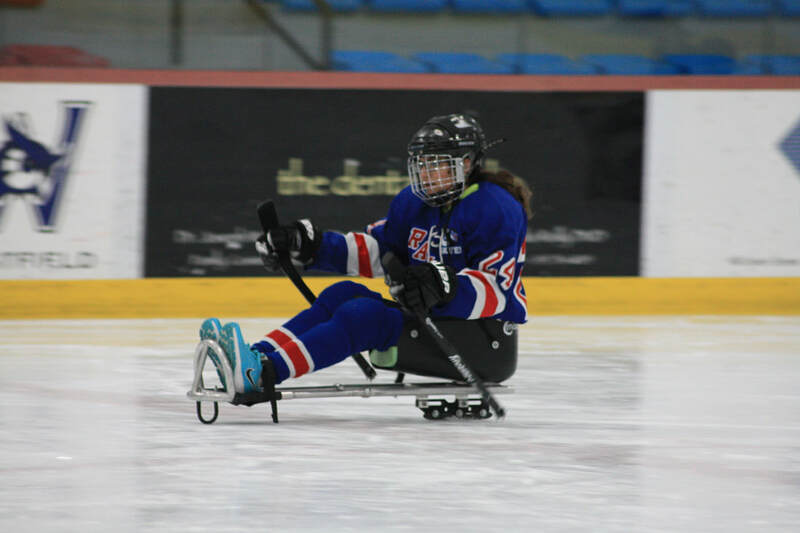 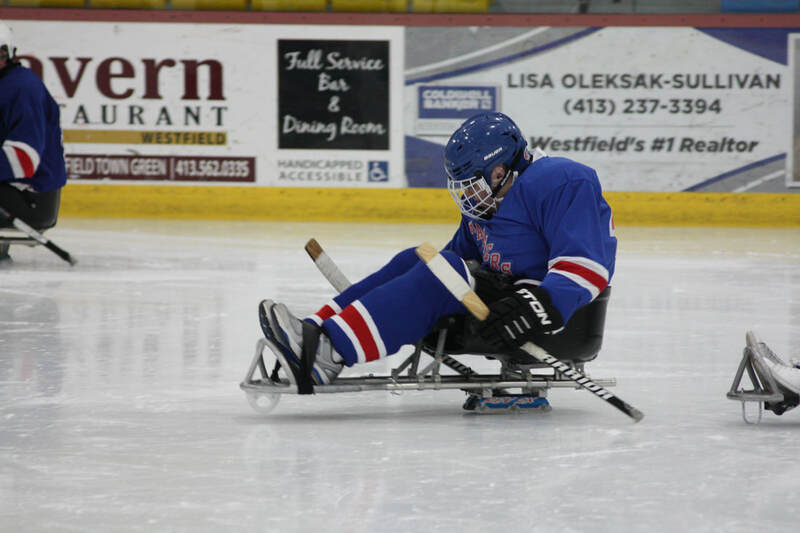 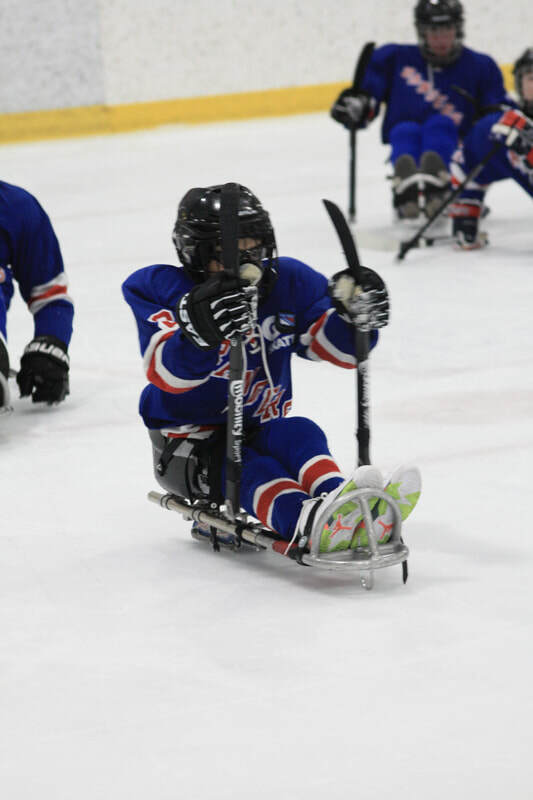 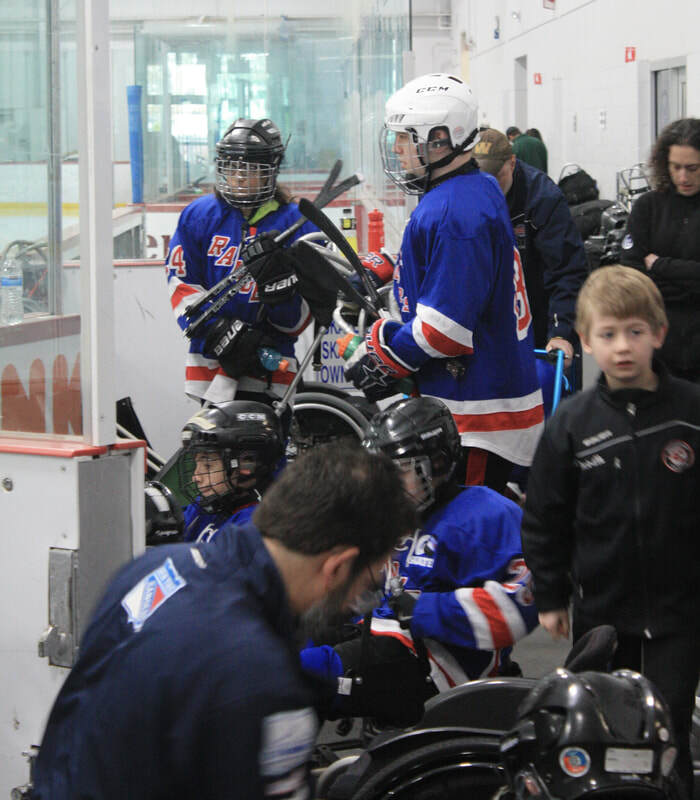 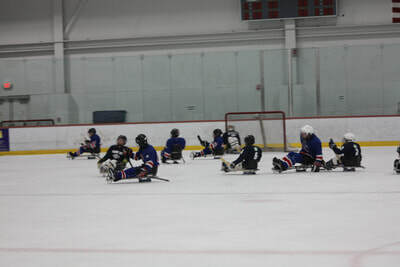 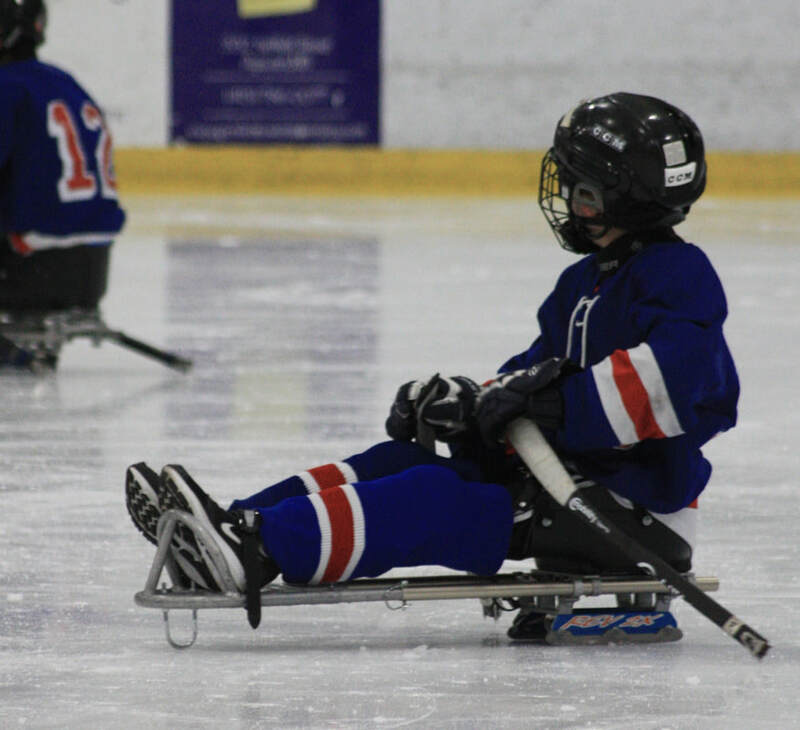 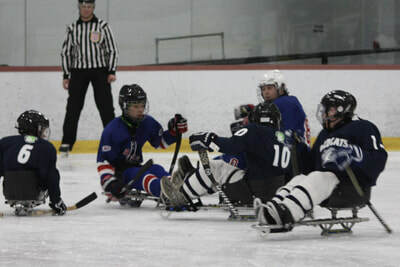 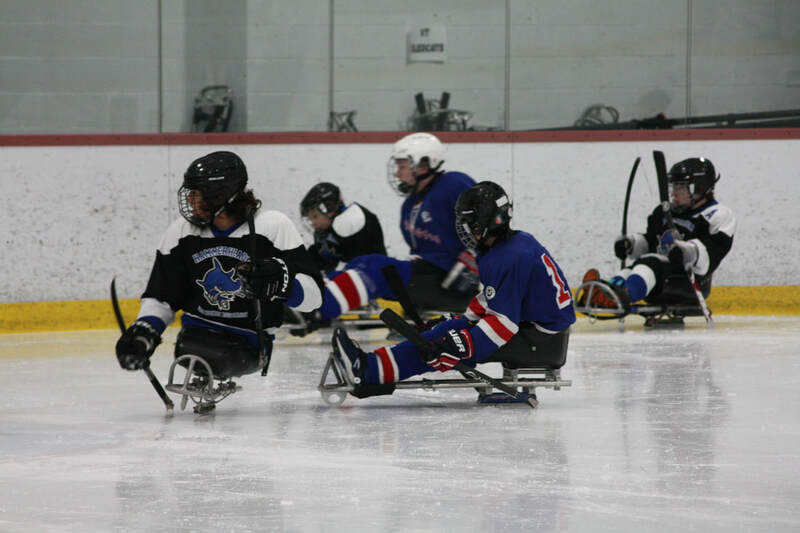 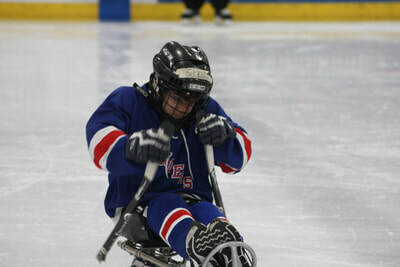 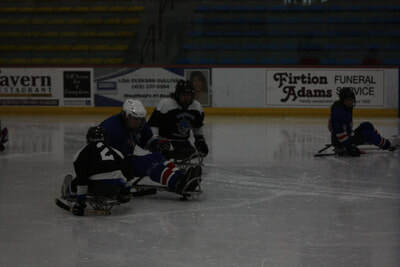 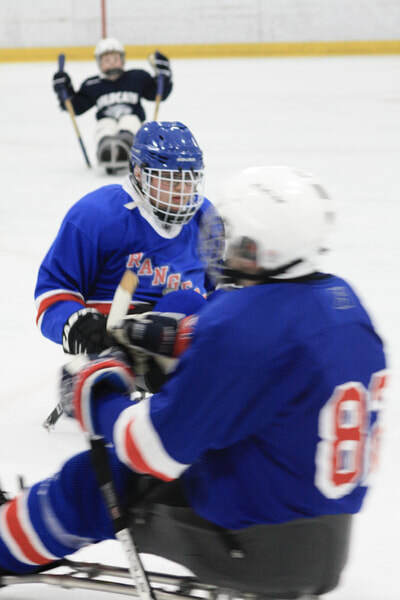 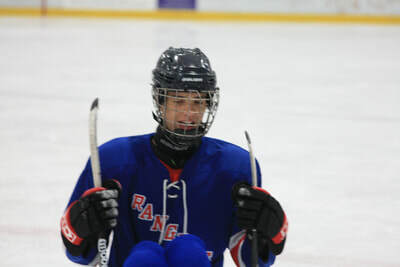 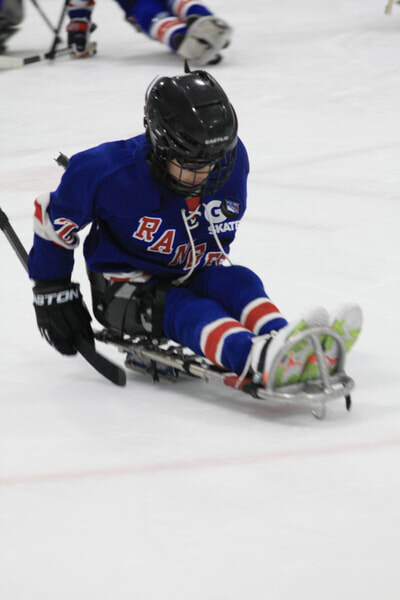 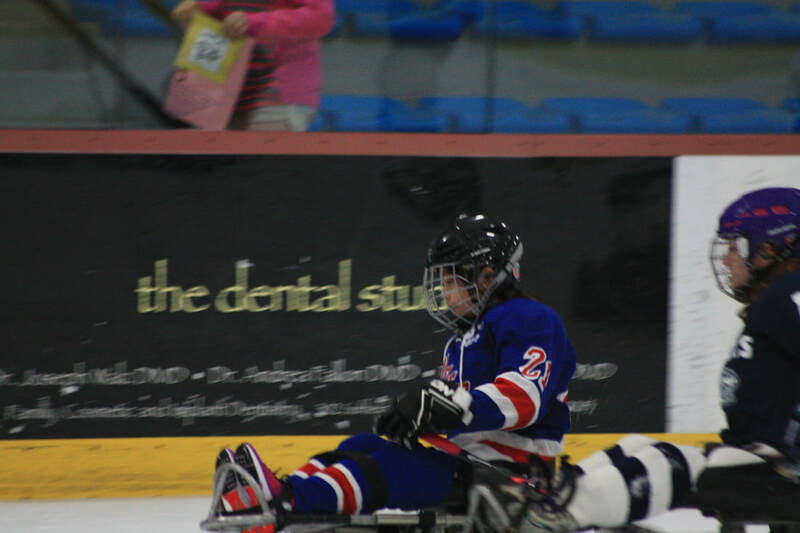 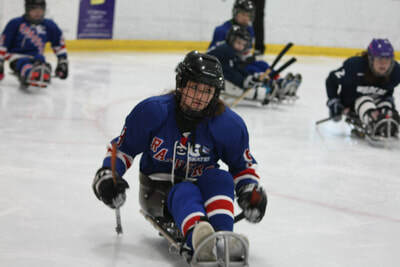 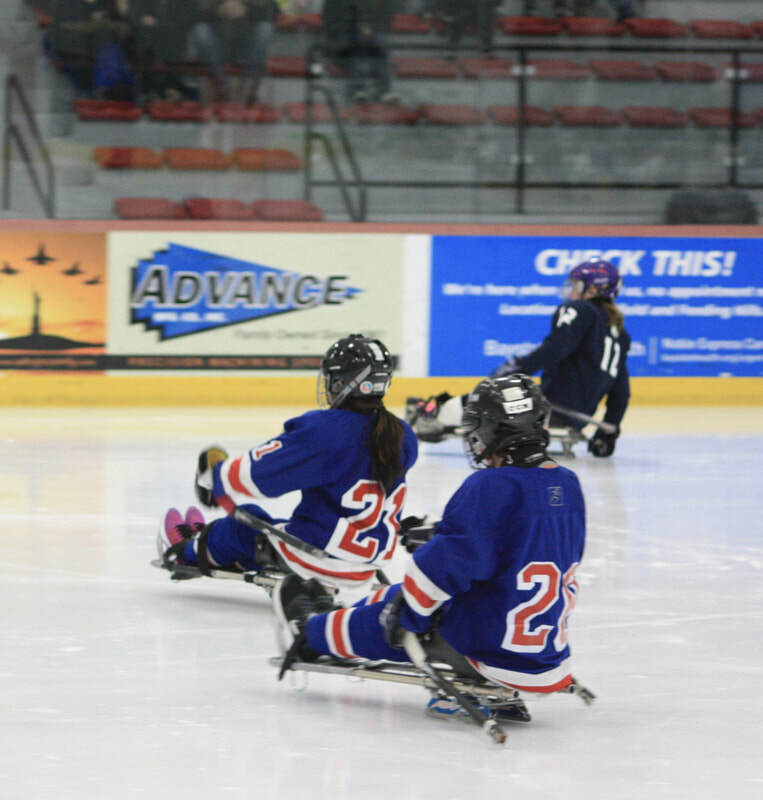 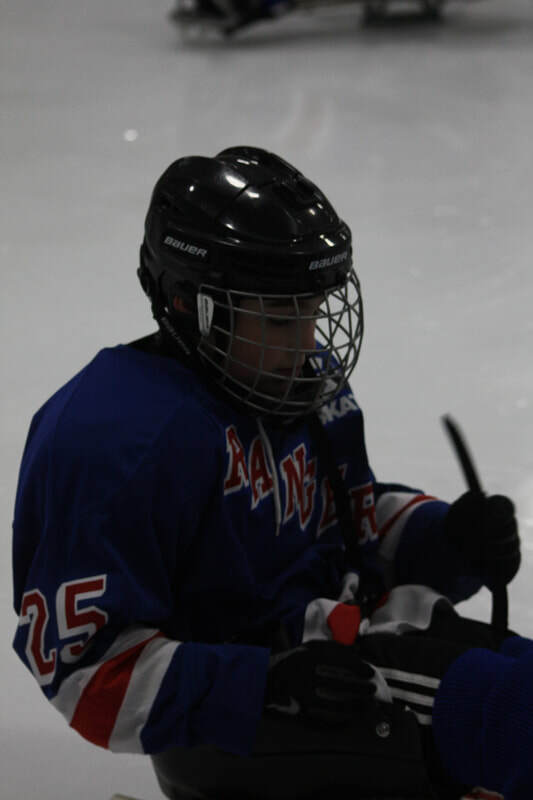 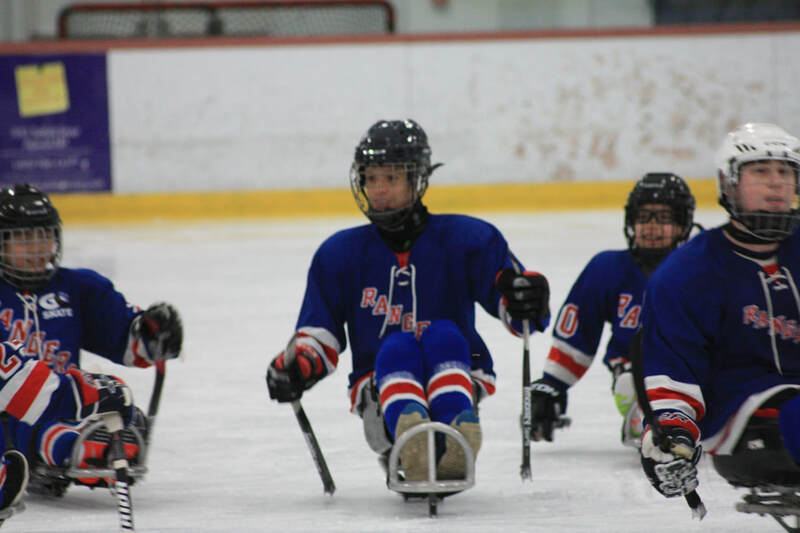 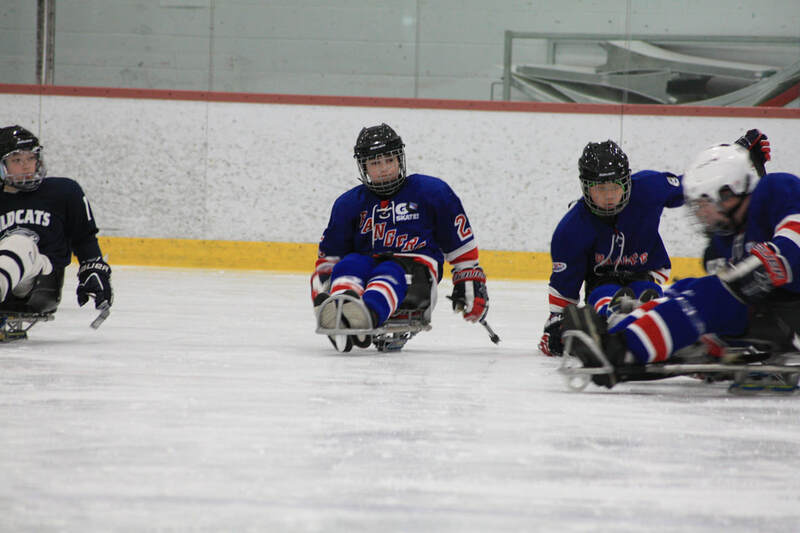 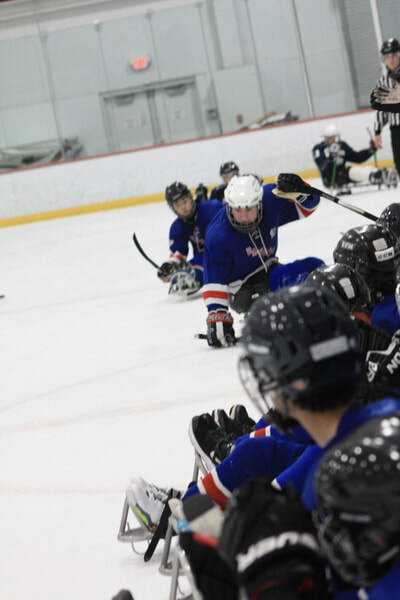 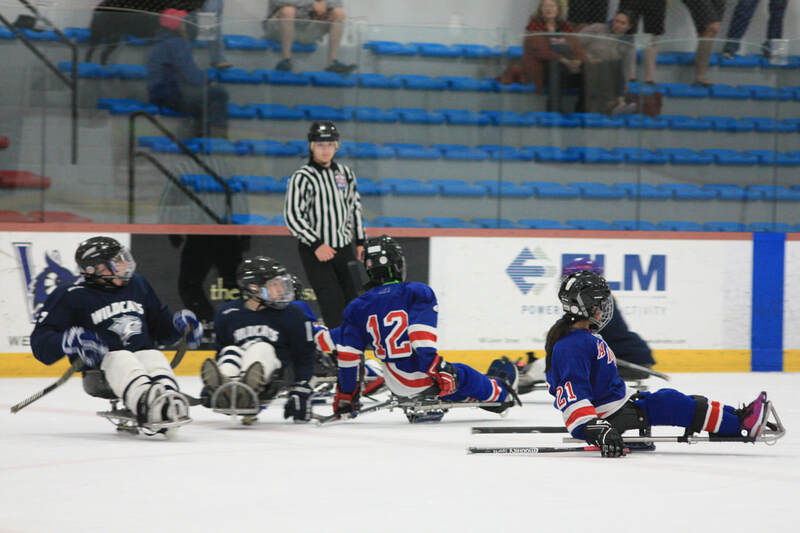 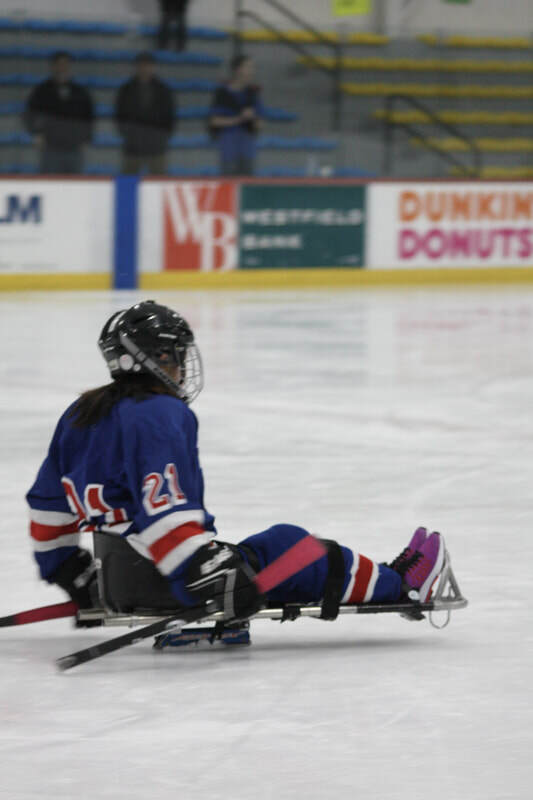 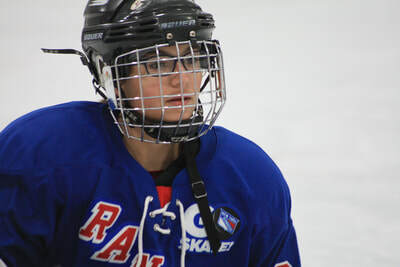 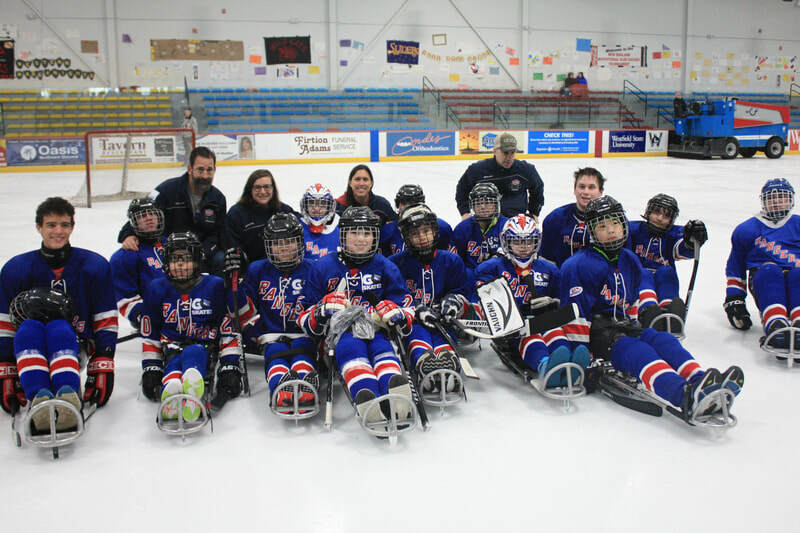 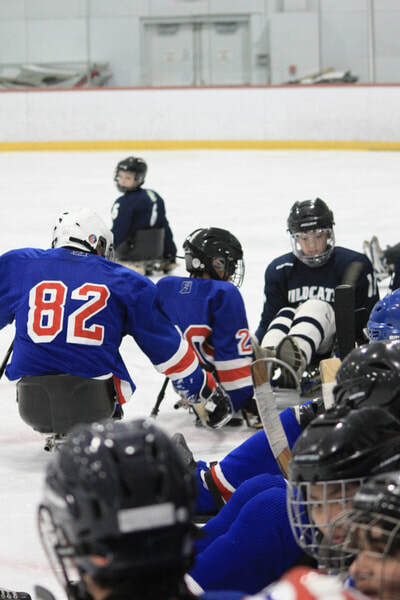 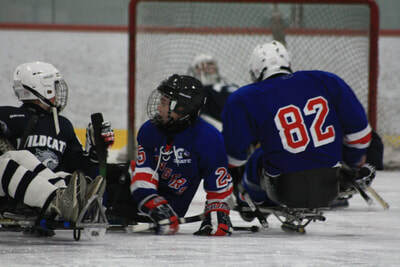 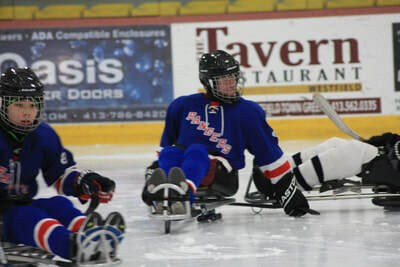 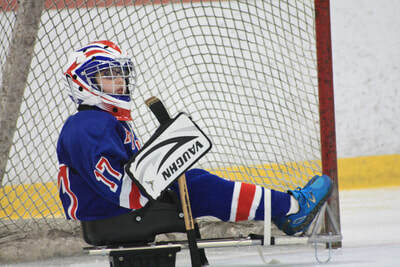 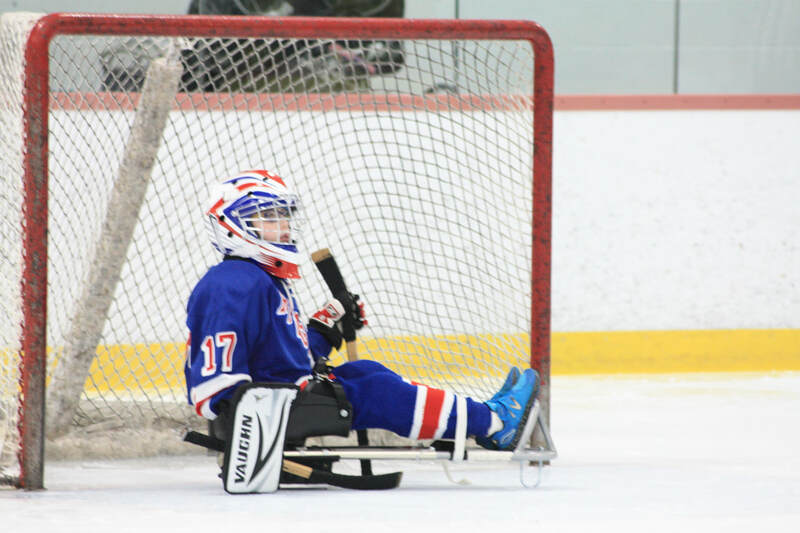 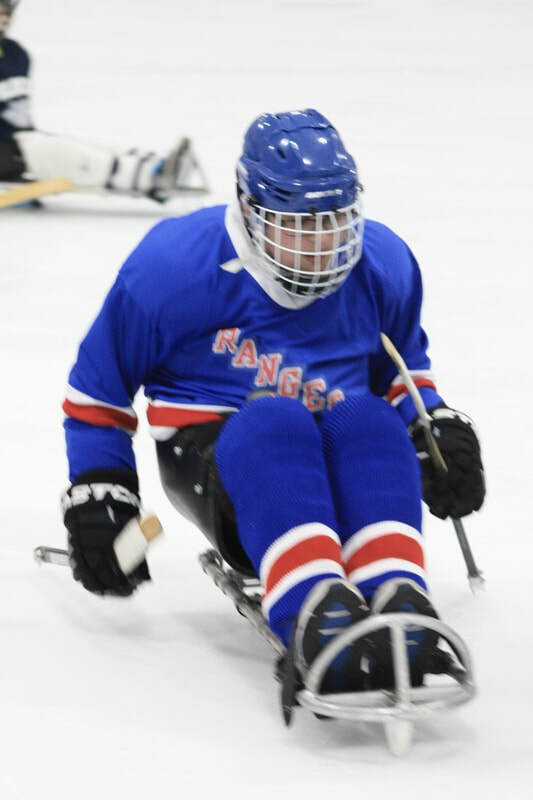 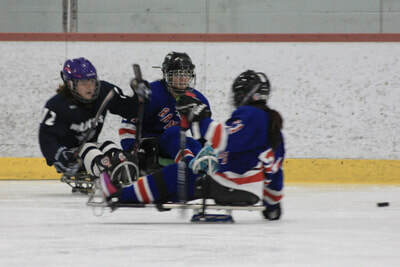 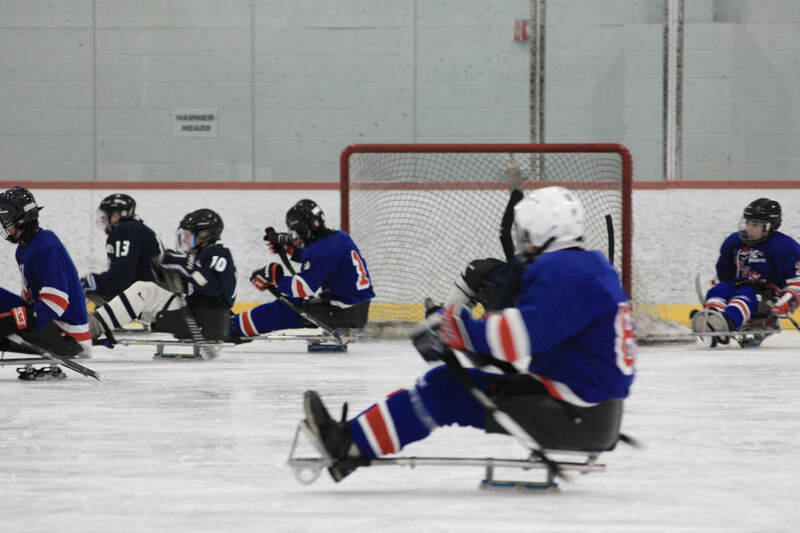 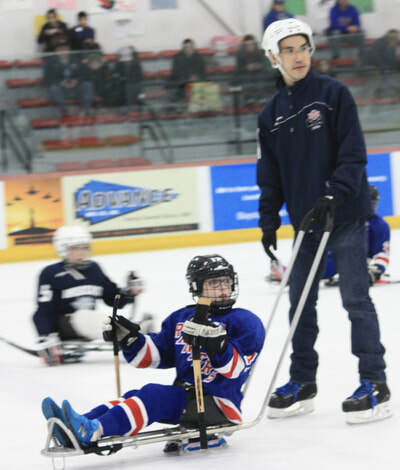 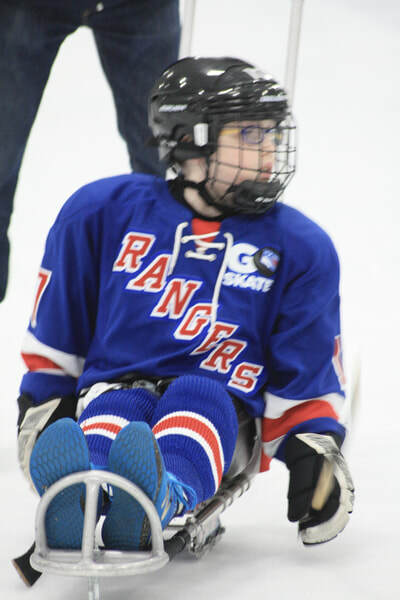 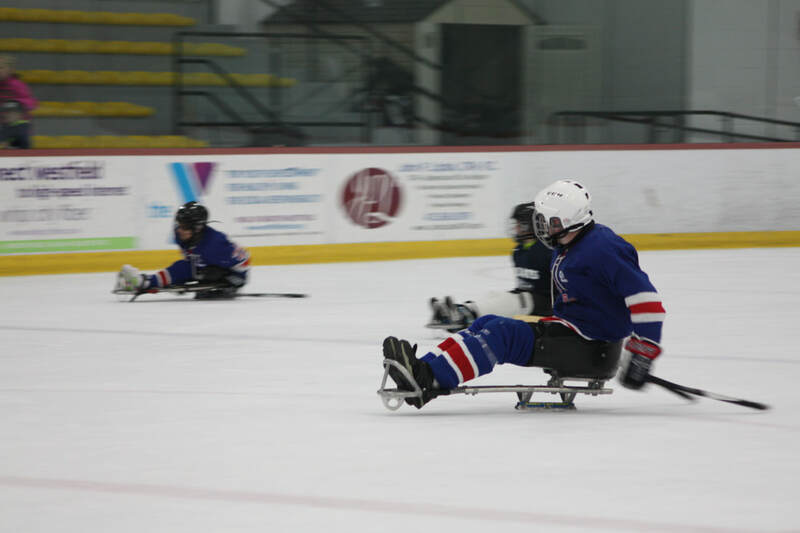 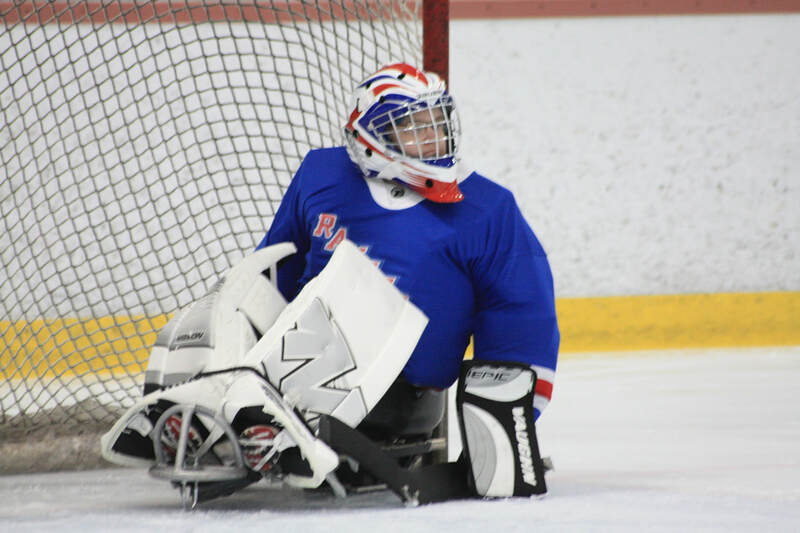 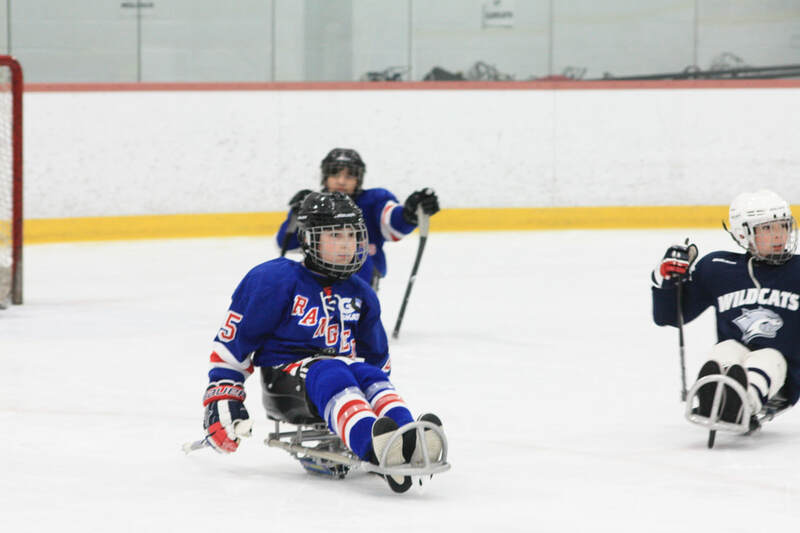 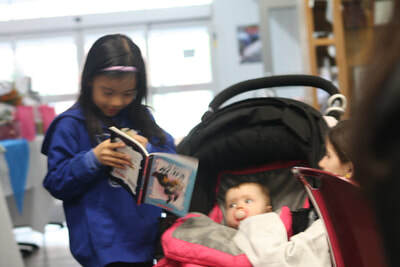 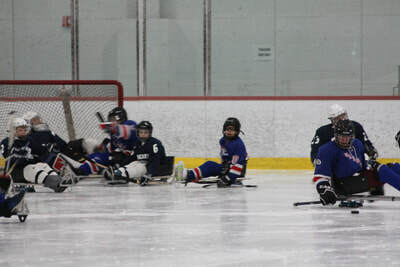 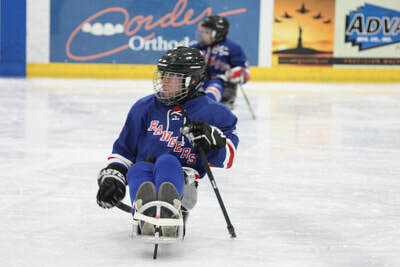 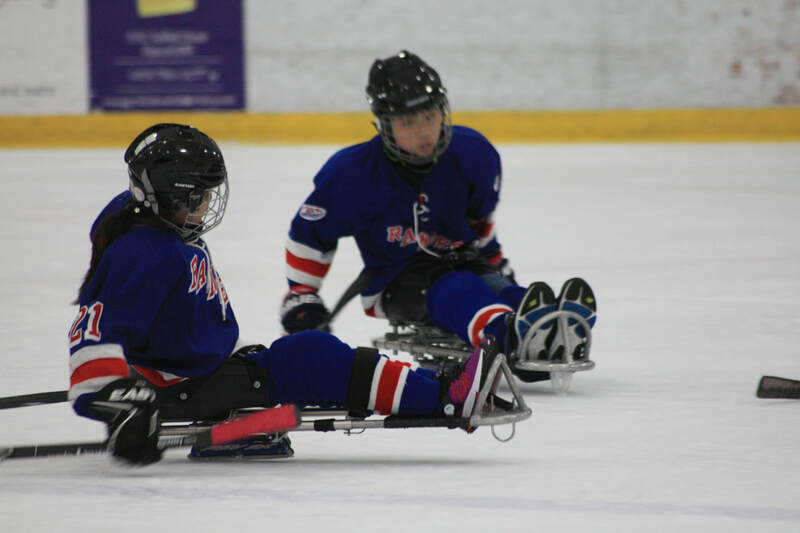 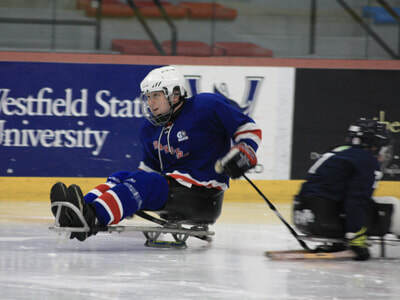 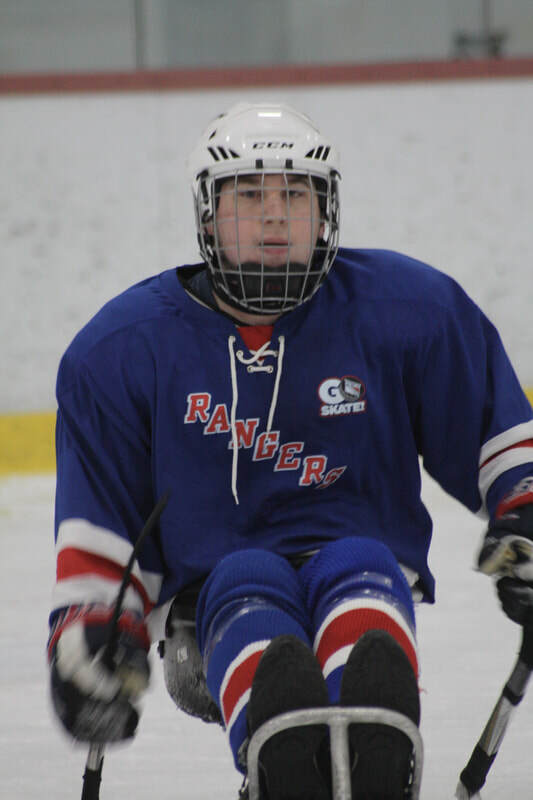 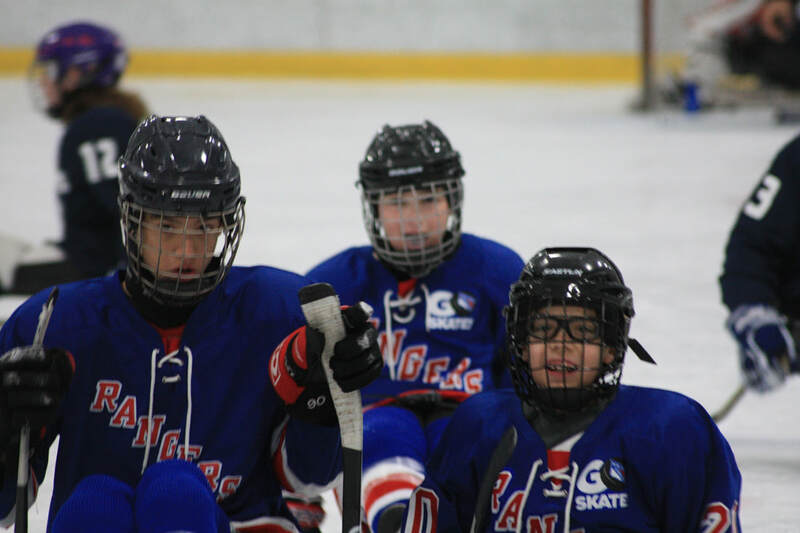 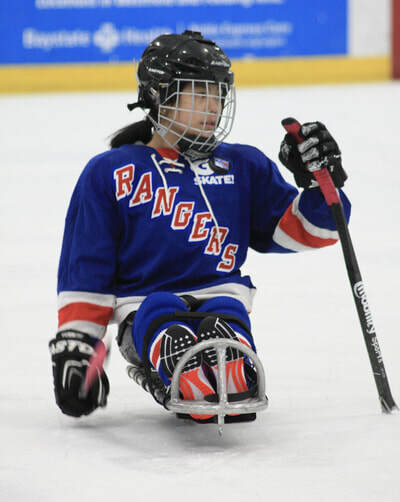 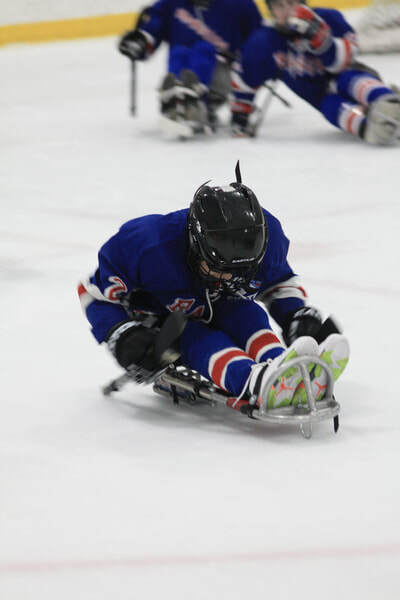 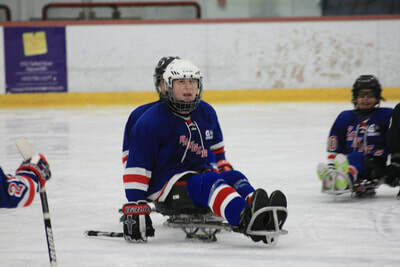 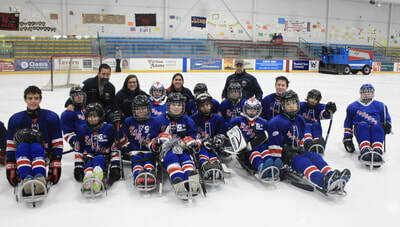 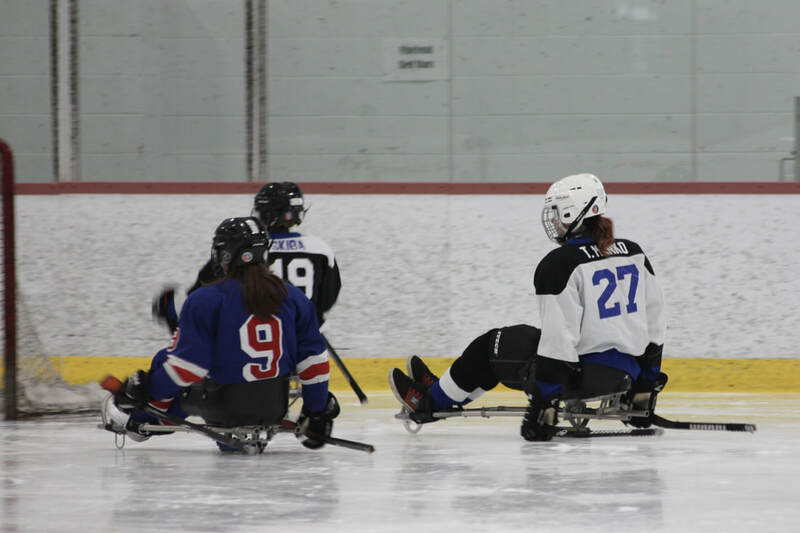 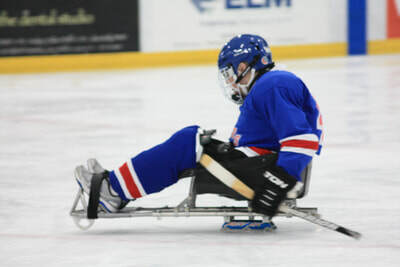 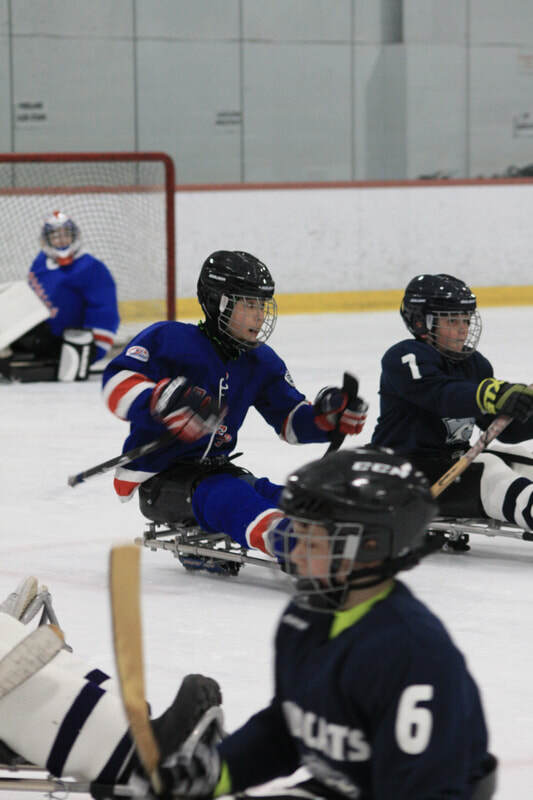 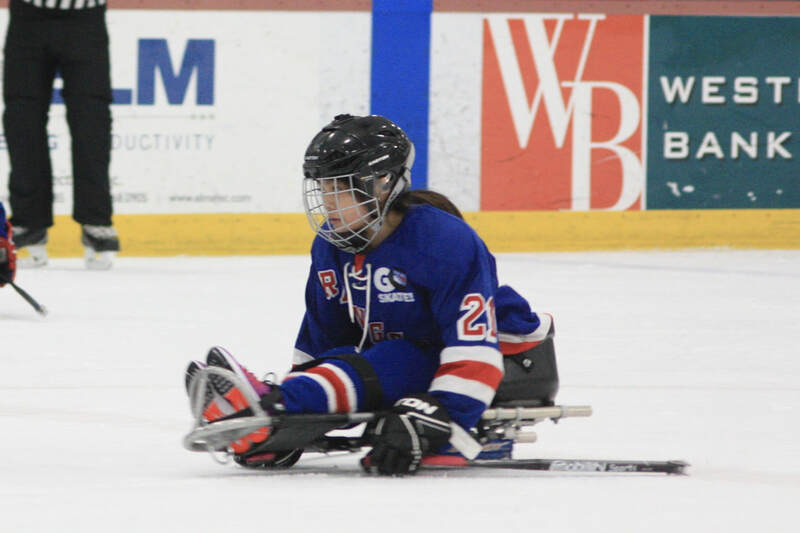 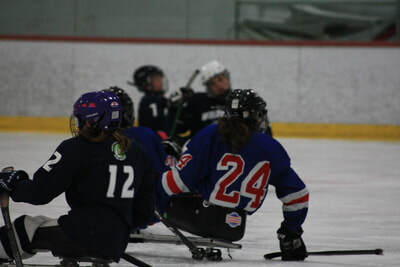 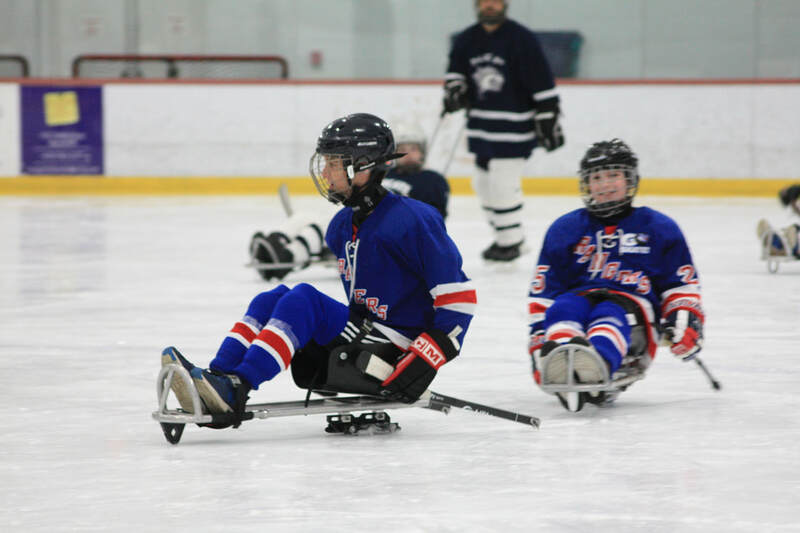 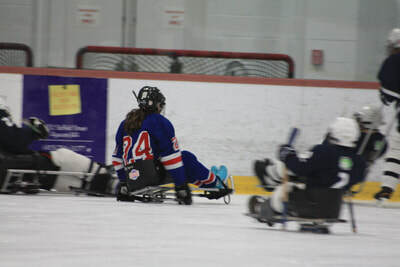 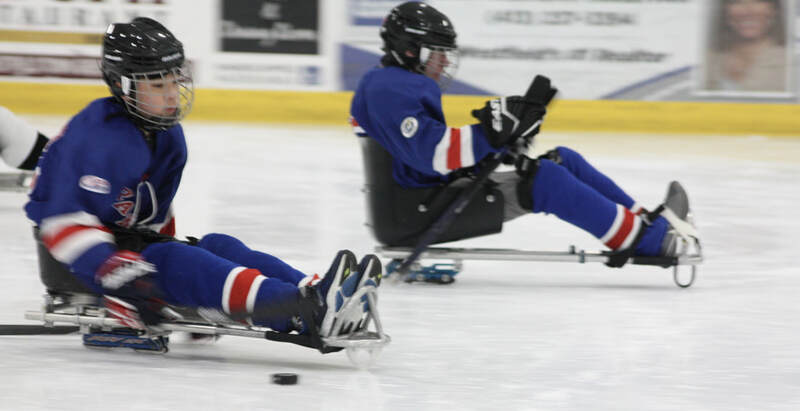 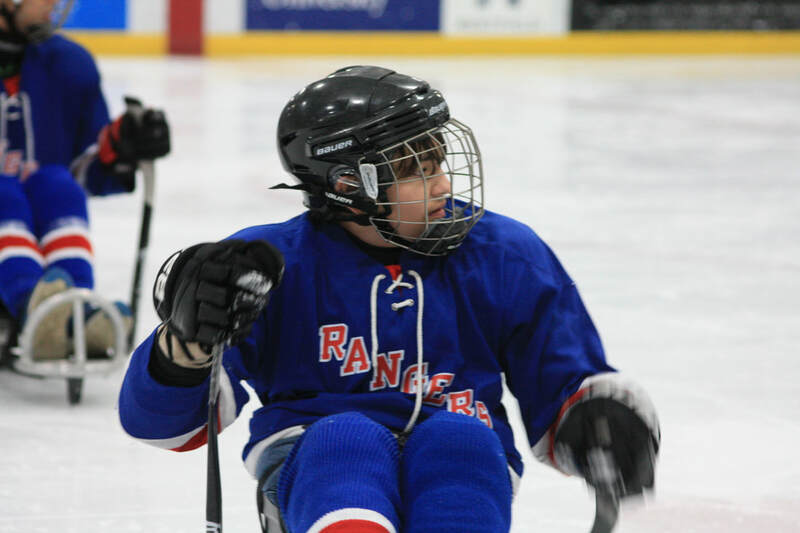 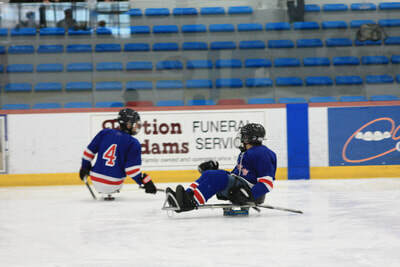 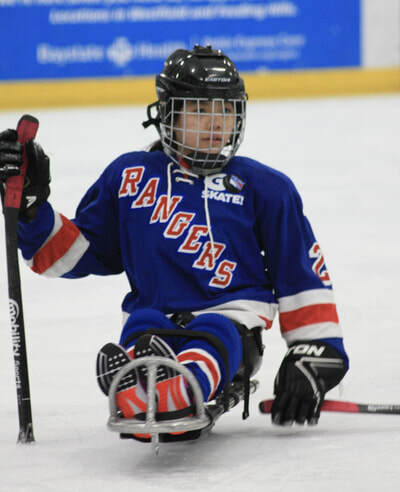 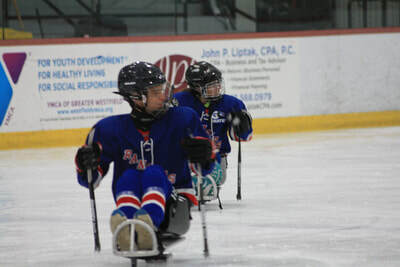 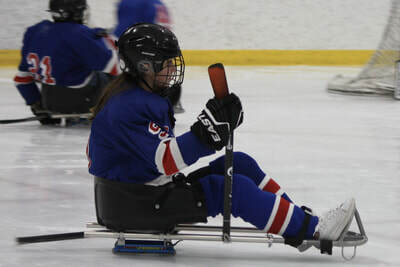 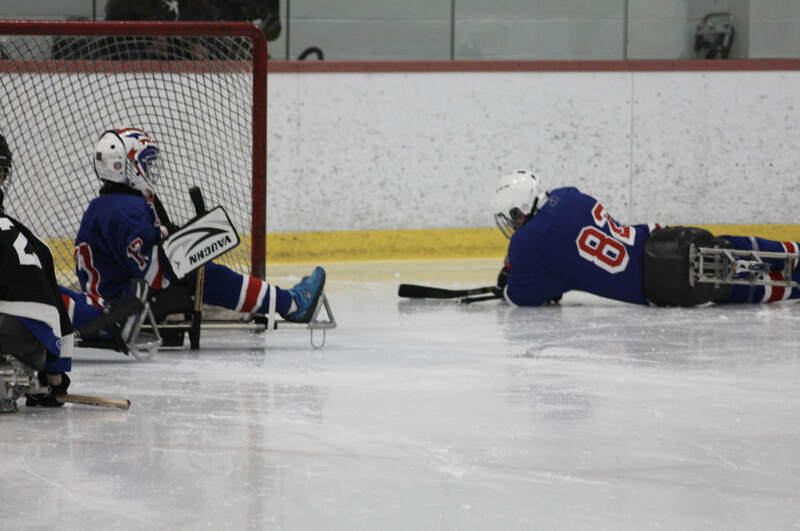 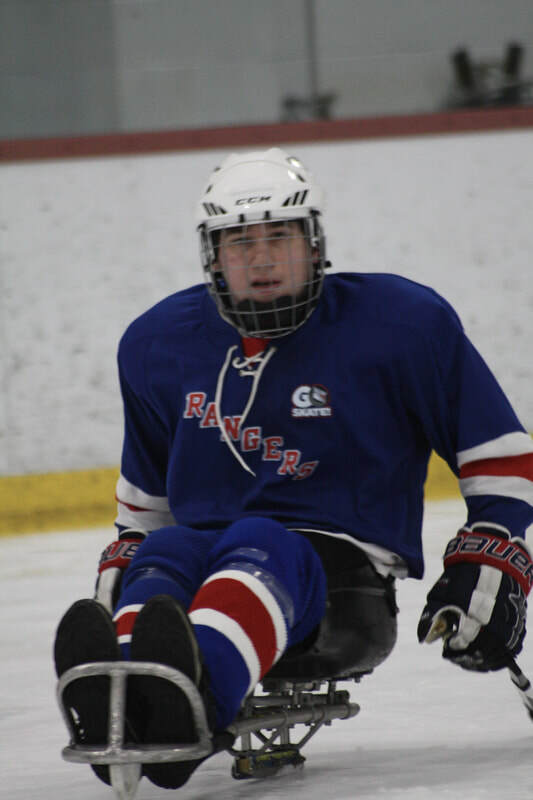 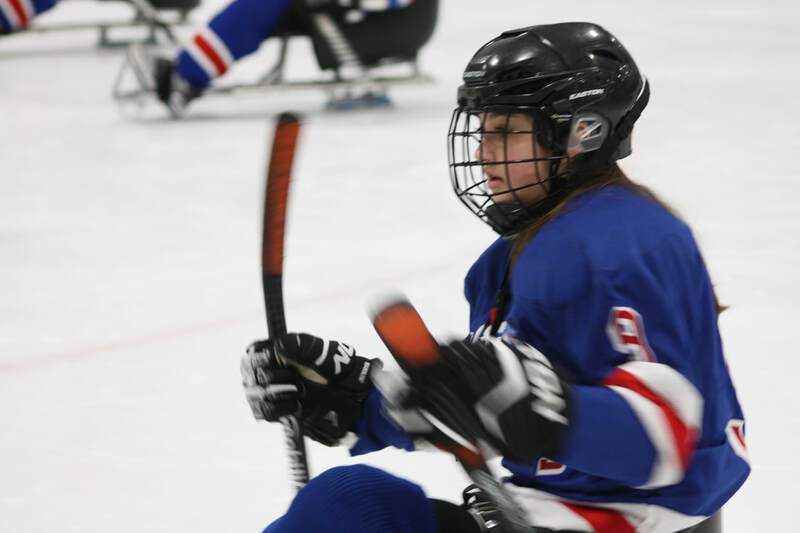 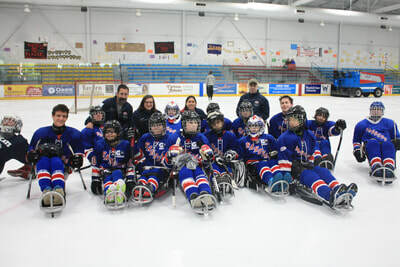 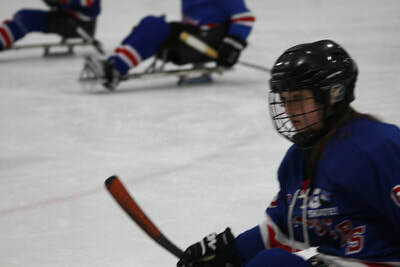 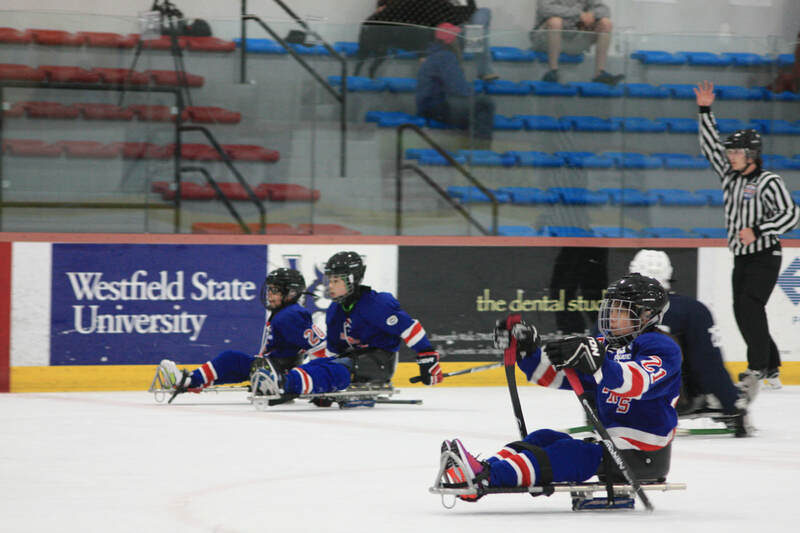 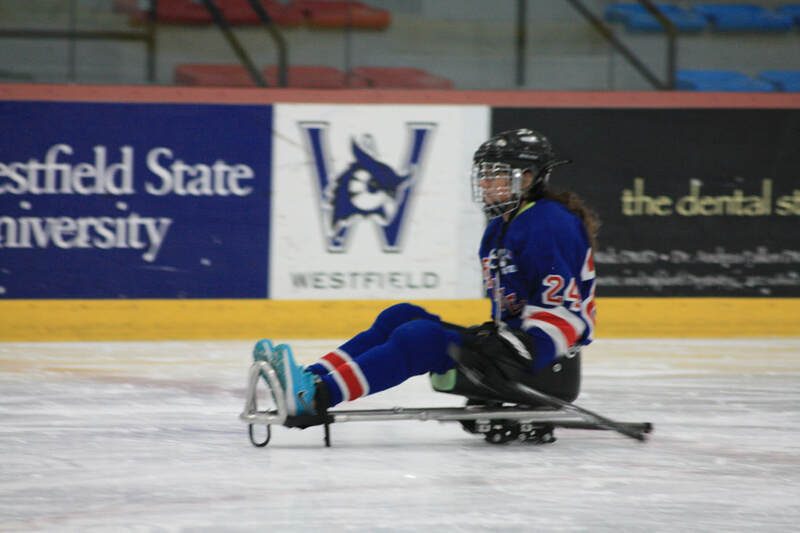 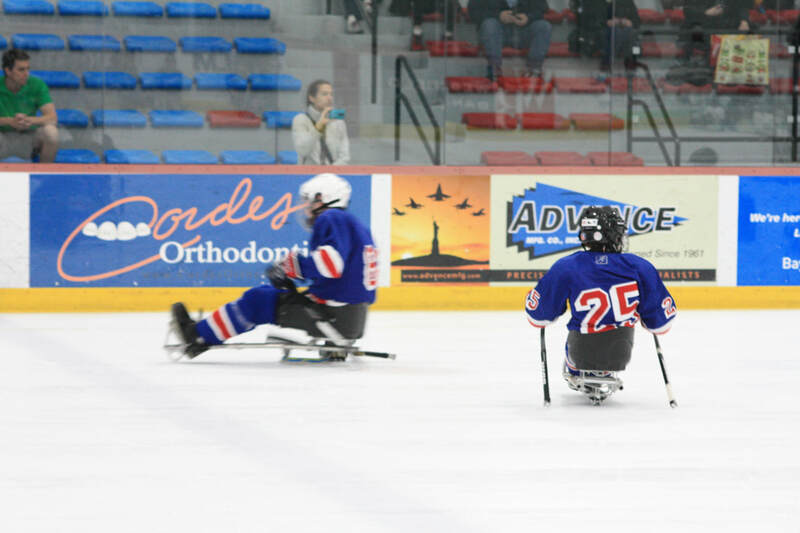 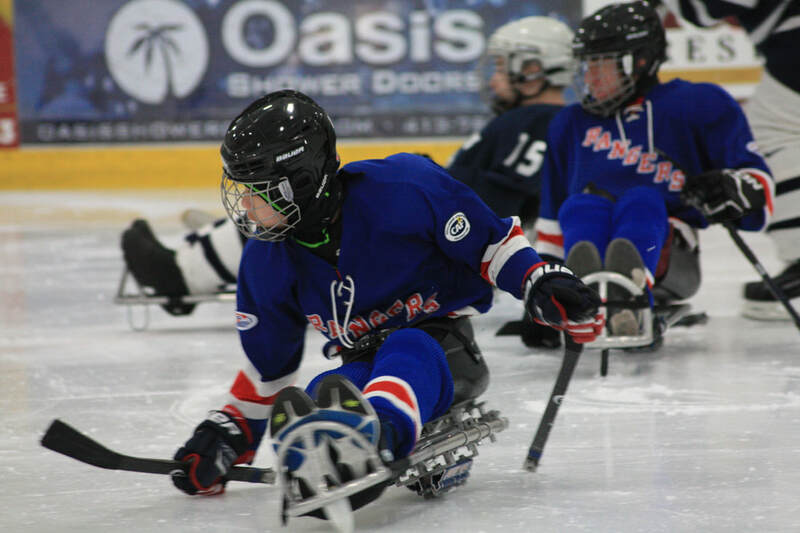 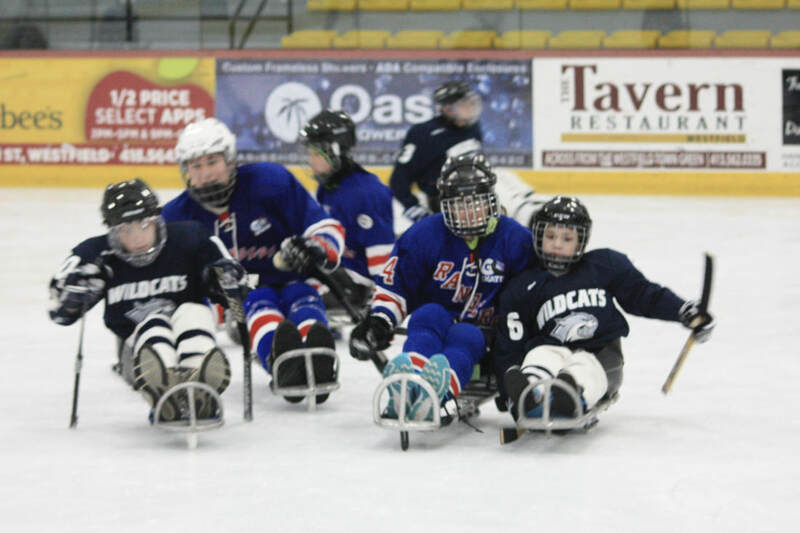 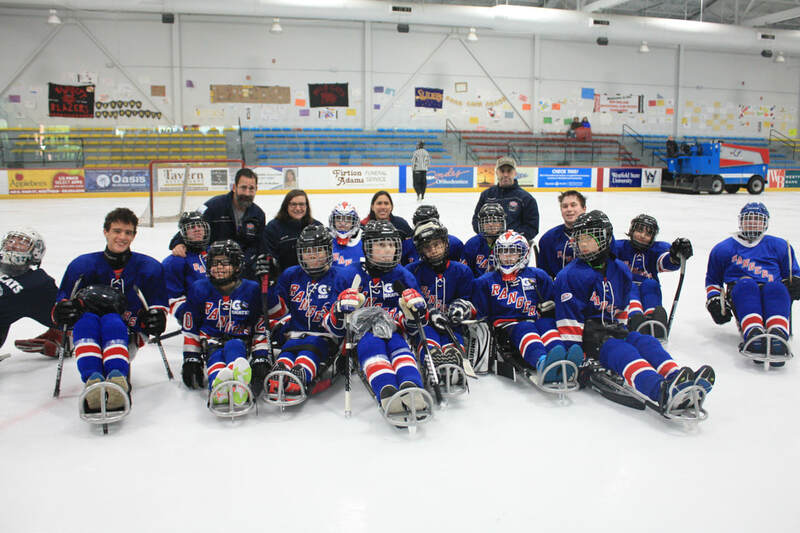 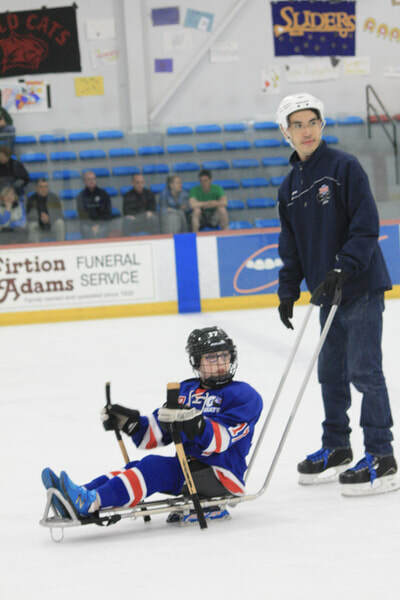 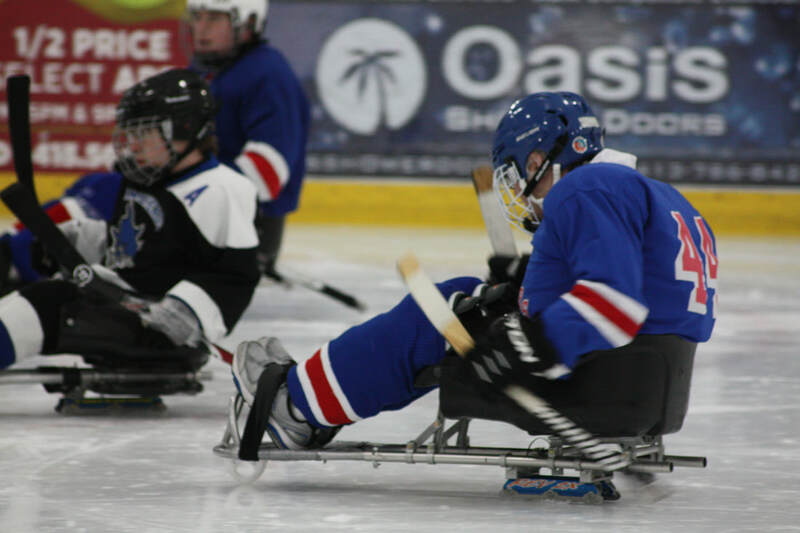 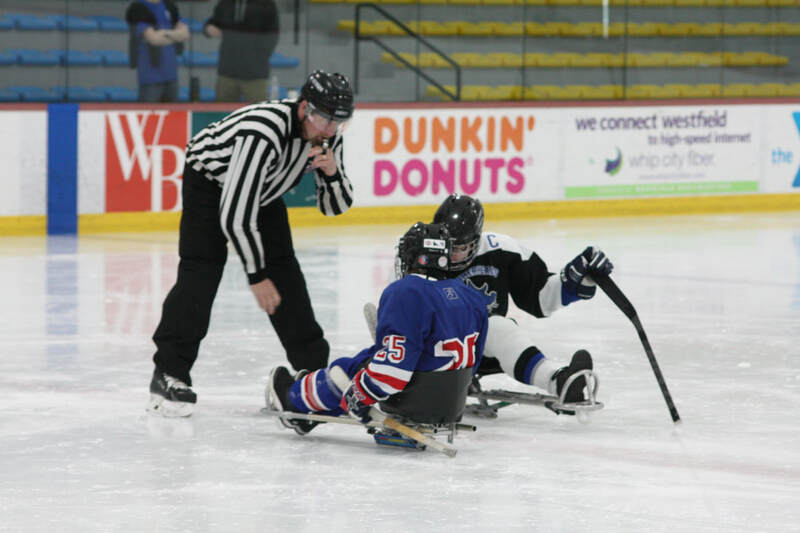 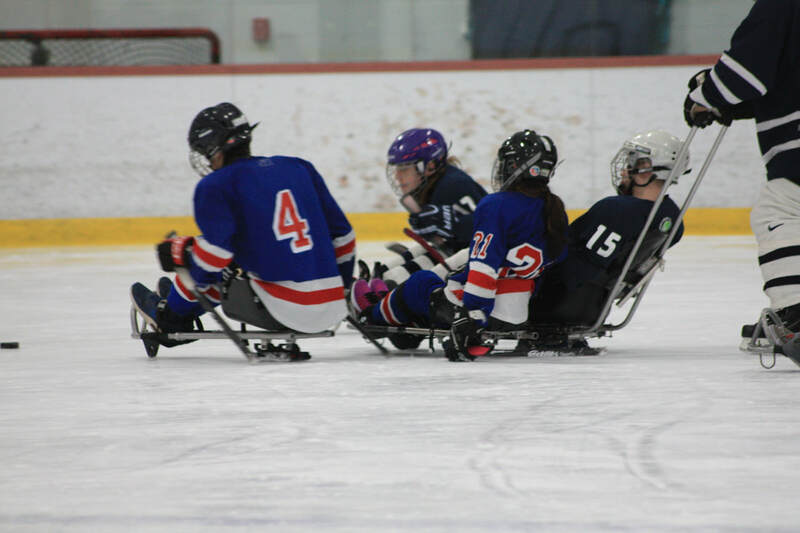 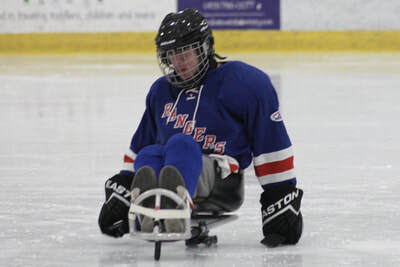 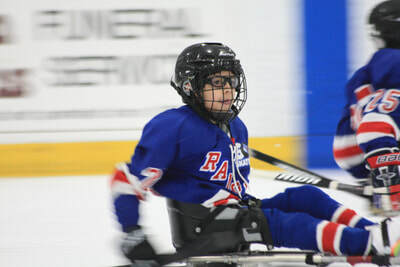 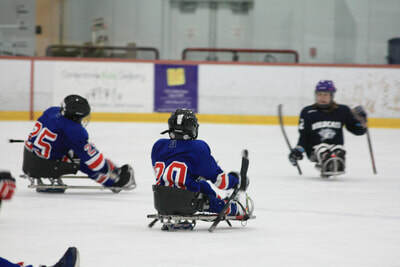 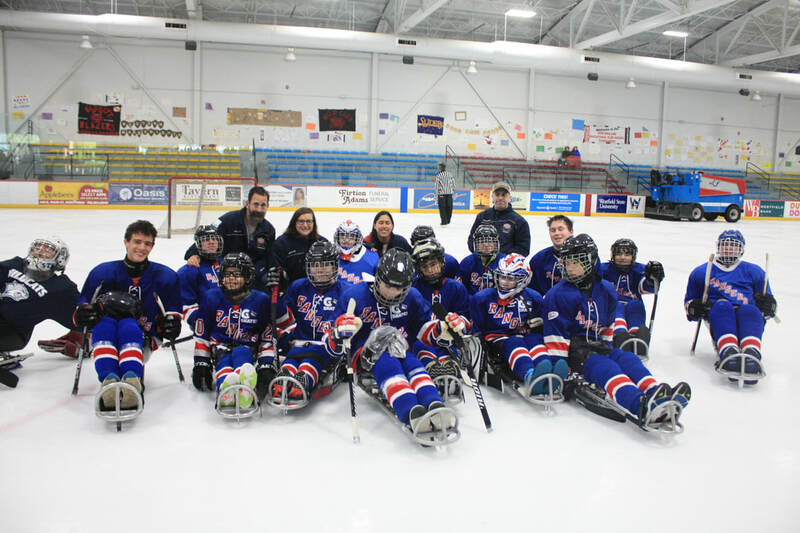 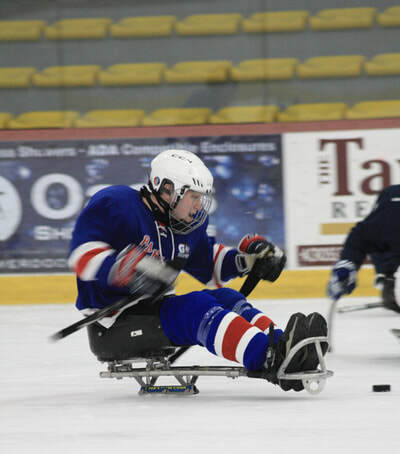 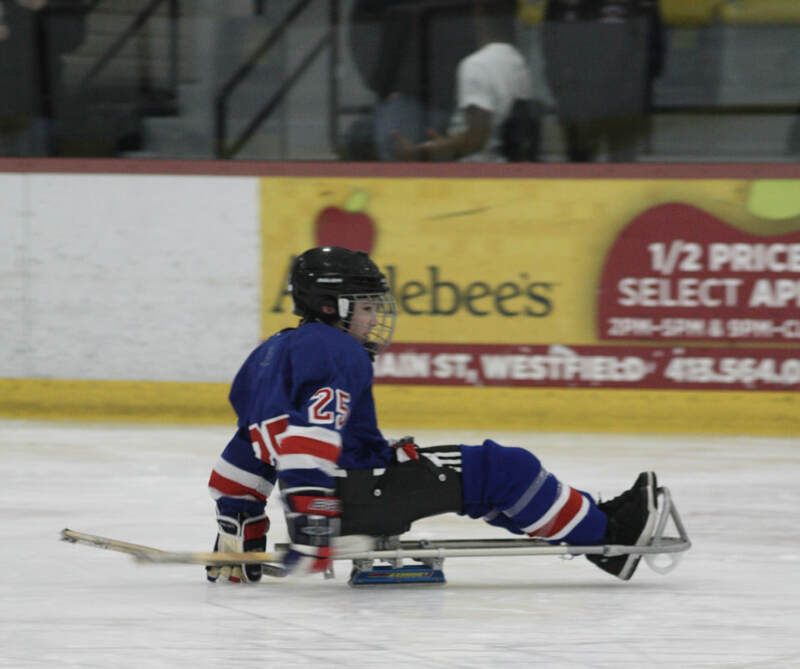 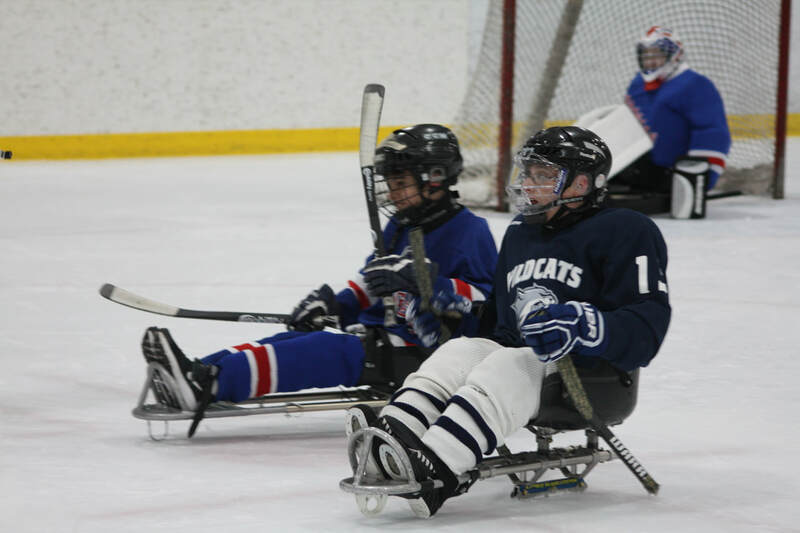 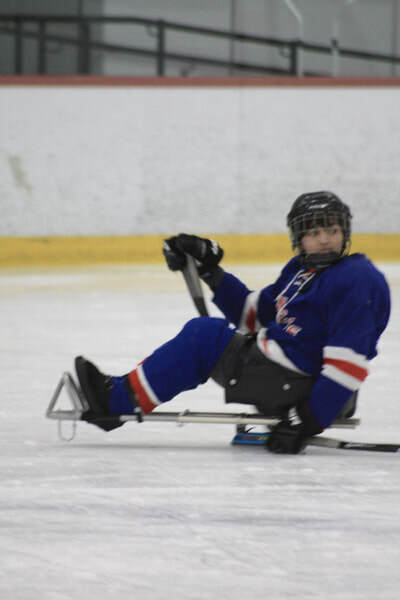 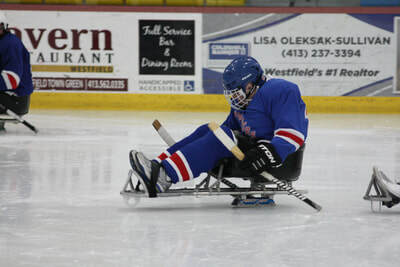 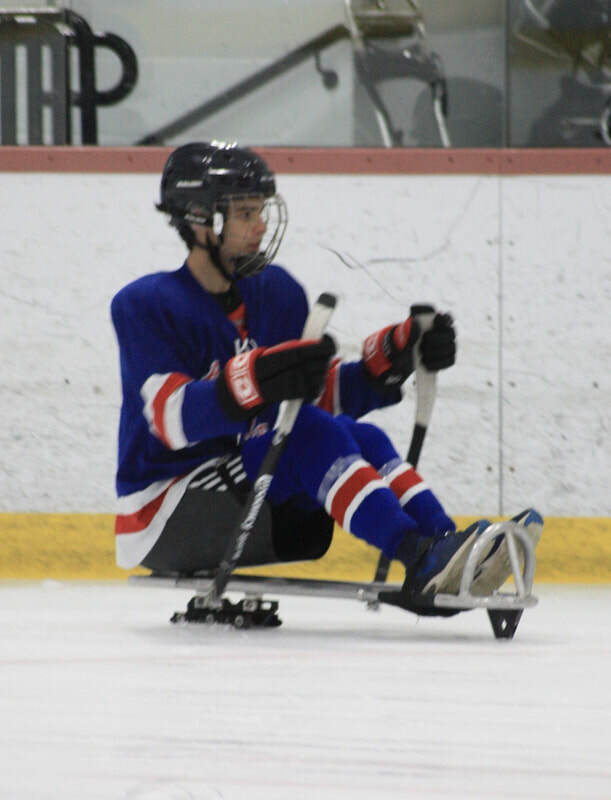 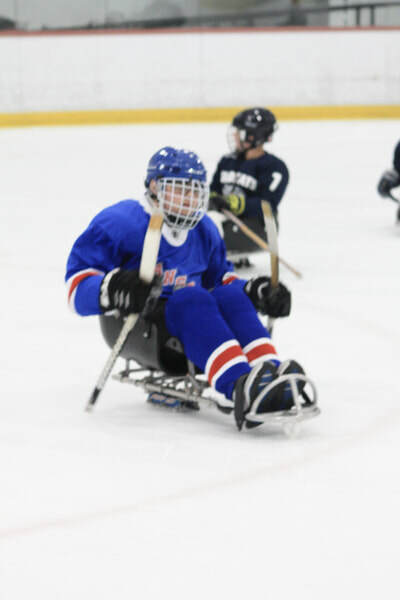 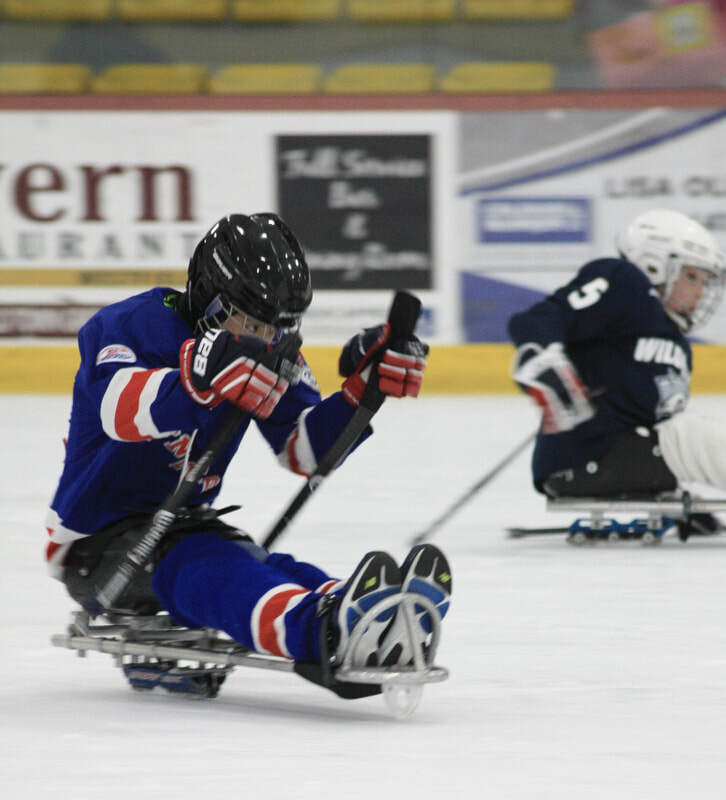 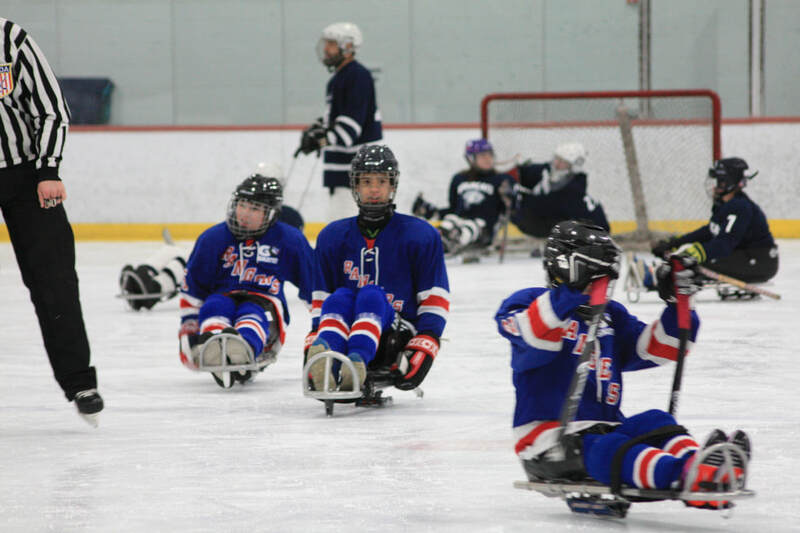 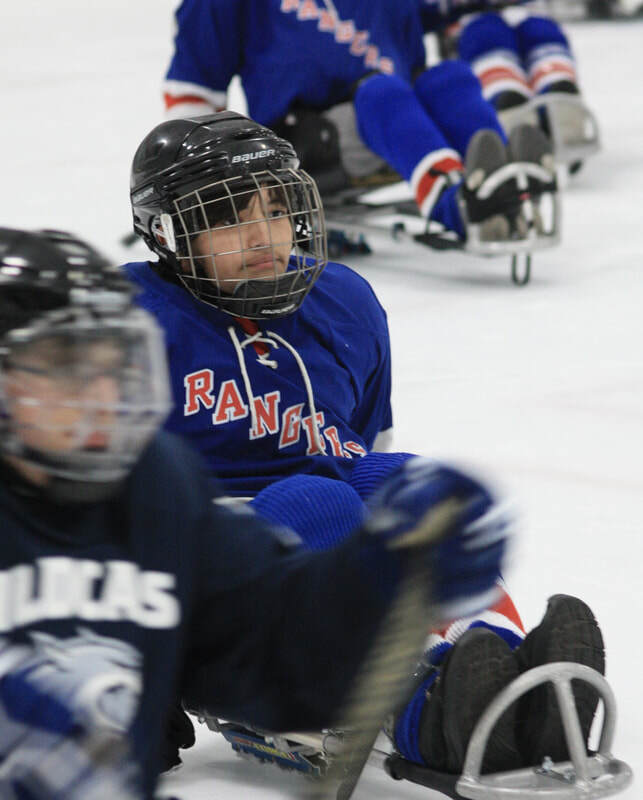 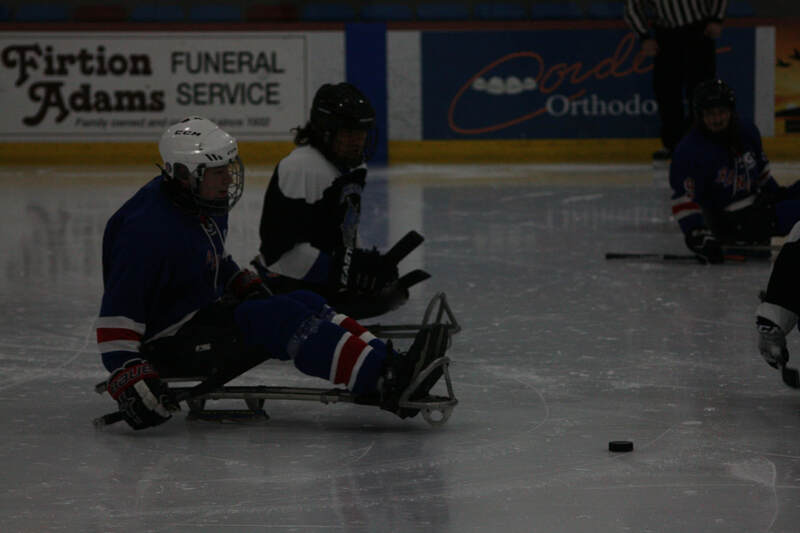 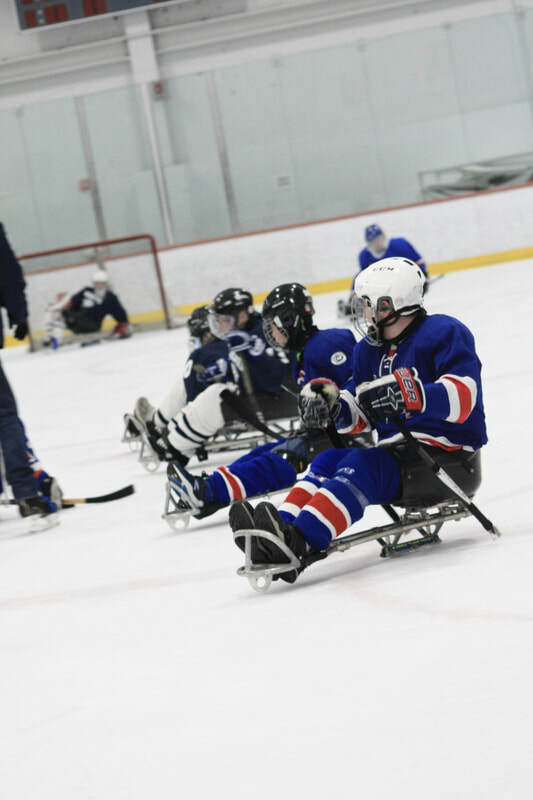 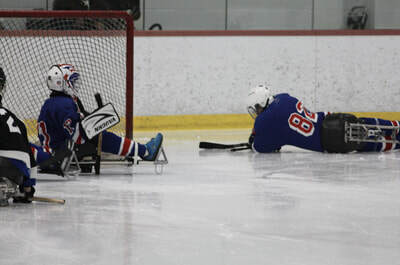 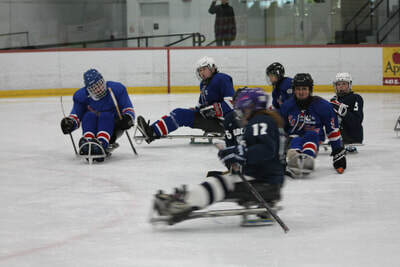 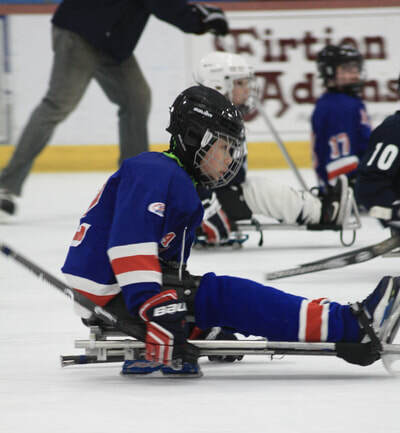 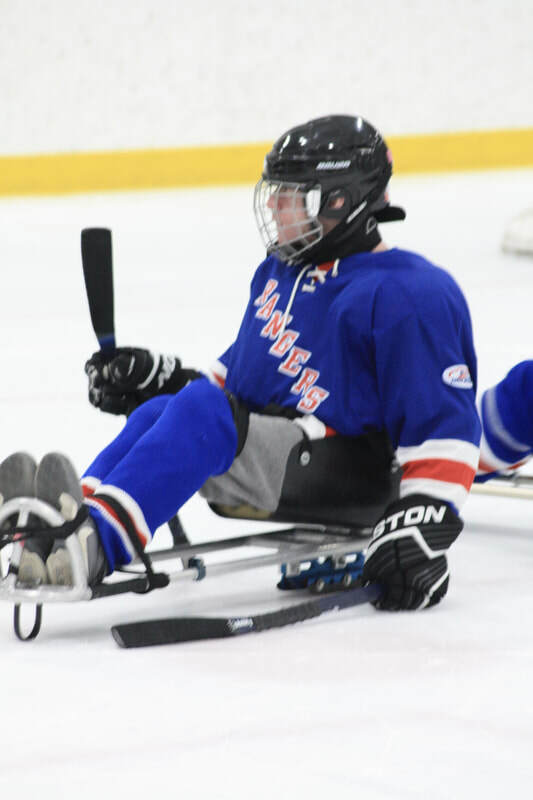 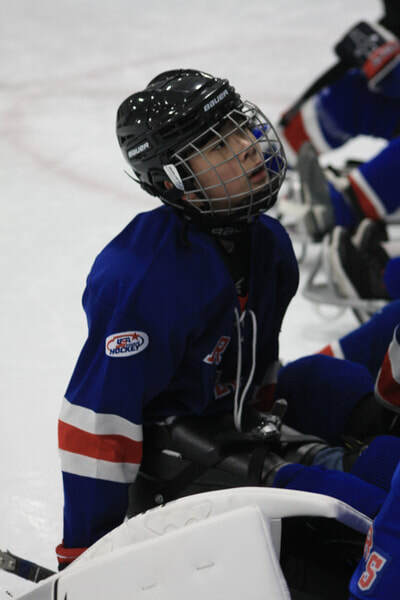 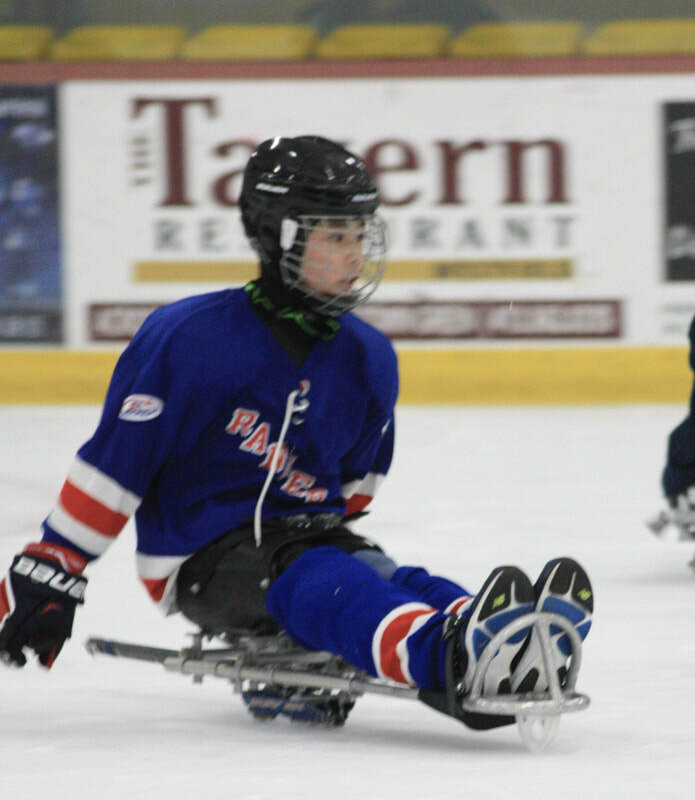 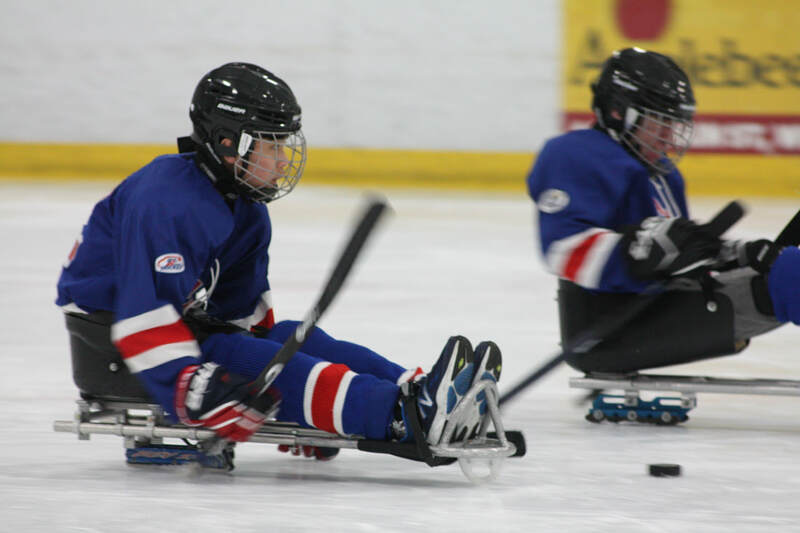 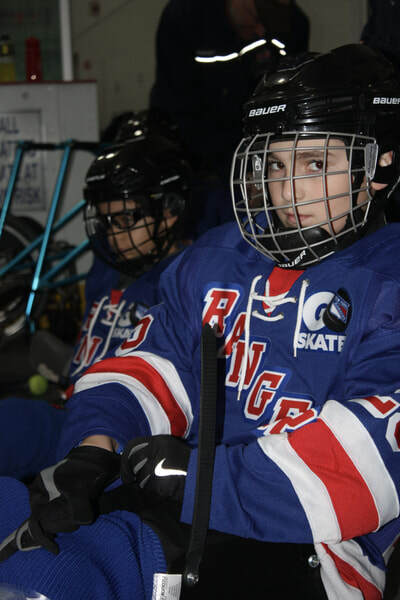 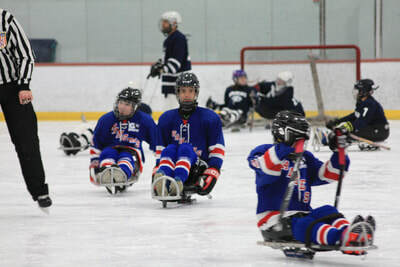 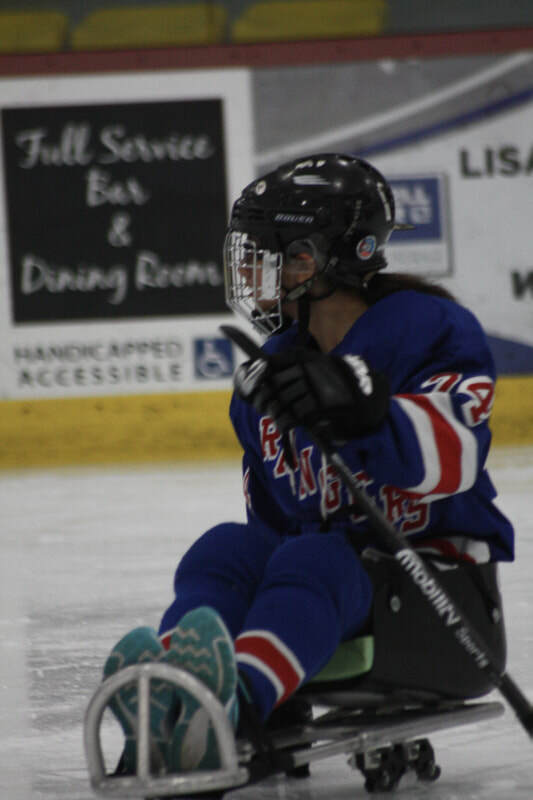 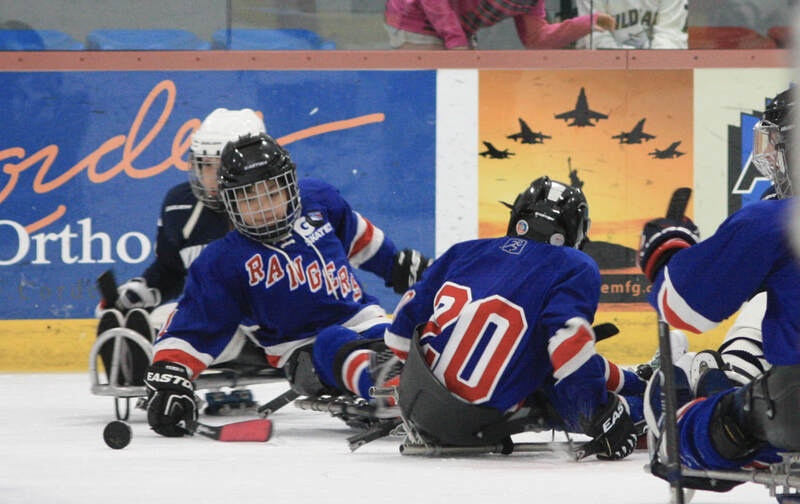 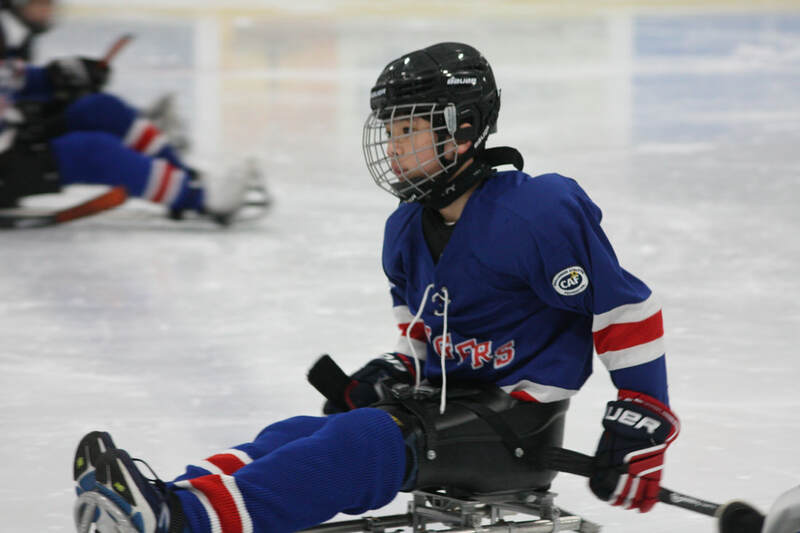 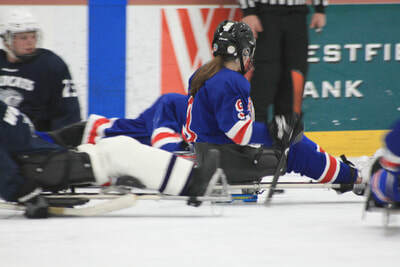 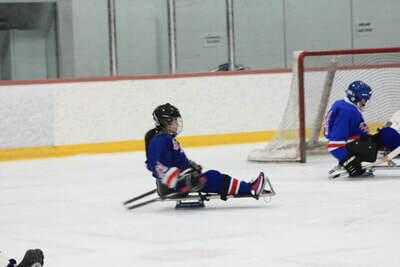 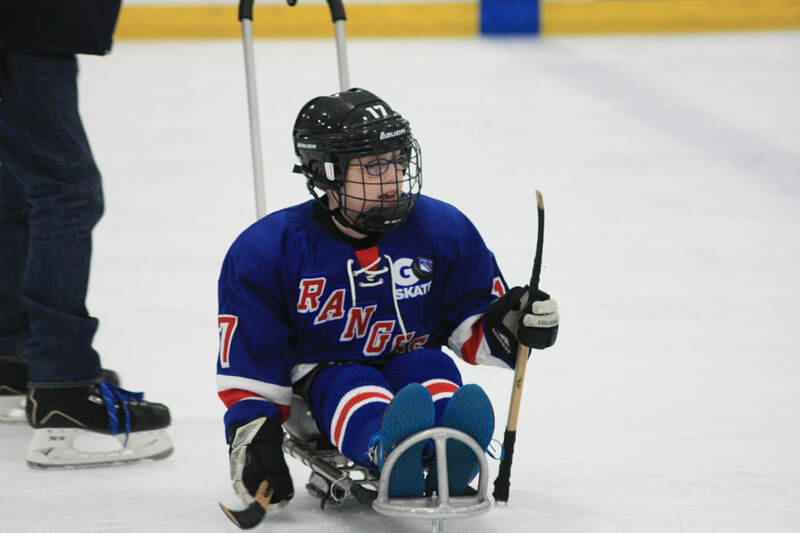 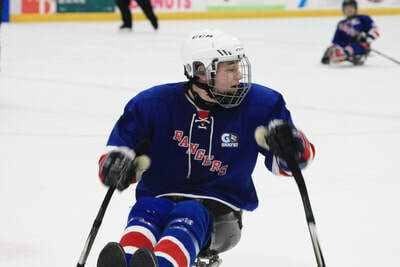 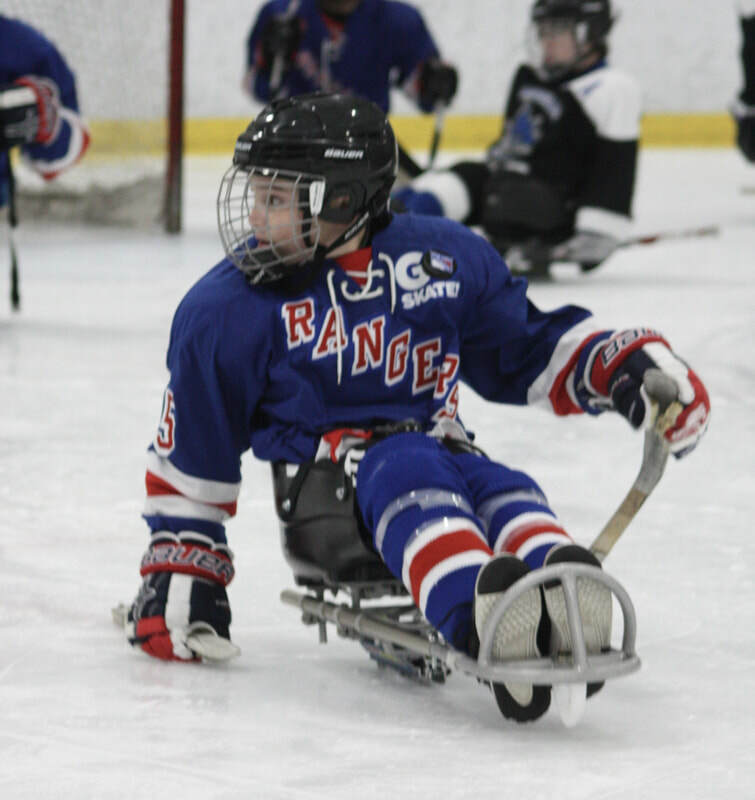 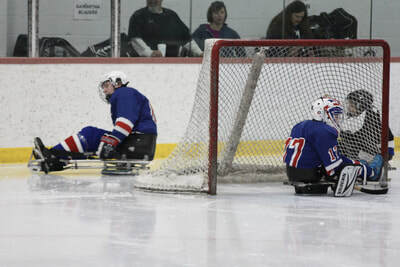 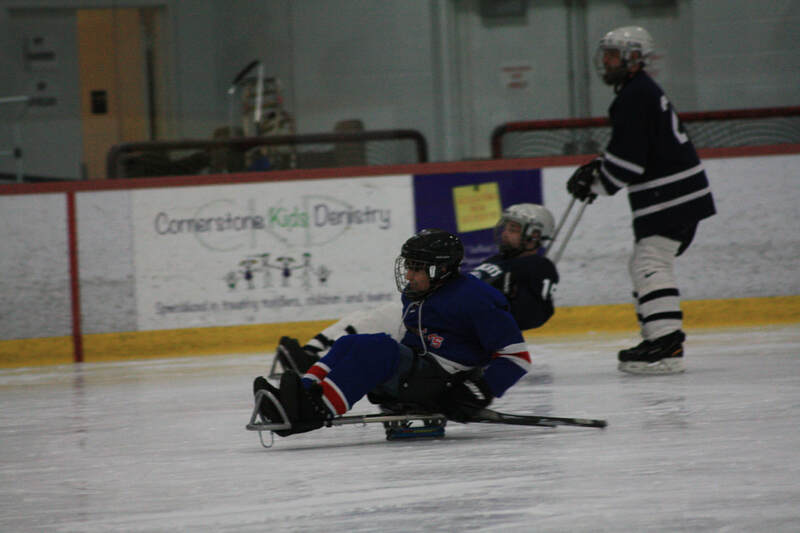 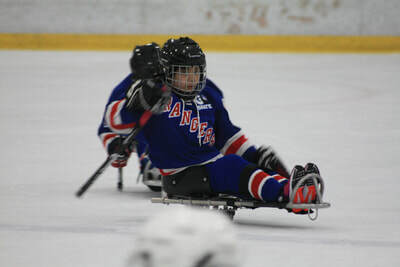 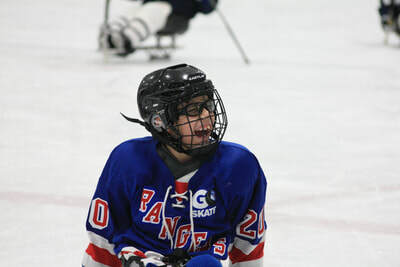 For the 3rd year in a row, the Sled Rangers traveled to Whip City – also known as Westfield – Massachusetts to play in the 19th annual New England Invitational Sled Hockey Tournament at Amelia Park Ice Arena. 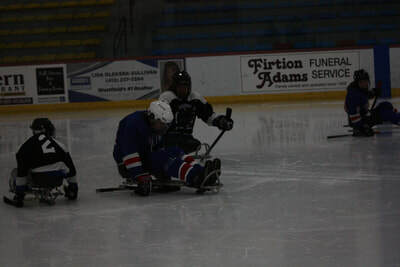 This is an excellent tournament as its one of the only ones in the country that is 100% percent dedicated to sled hockey. This year, 16 sled hockey teams computed in both junior and adult divisions. 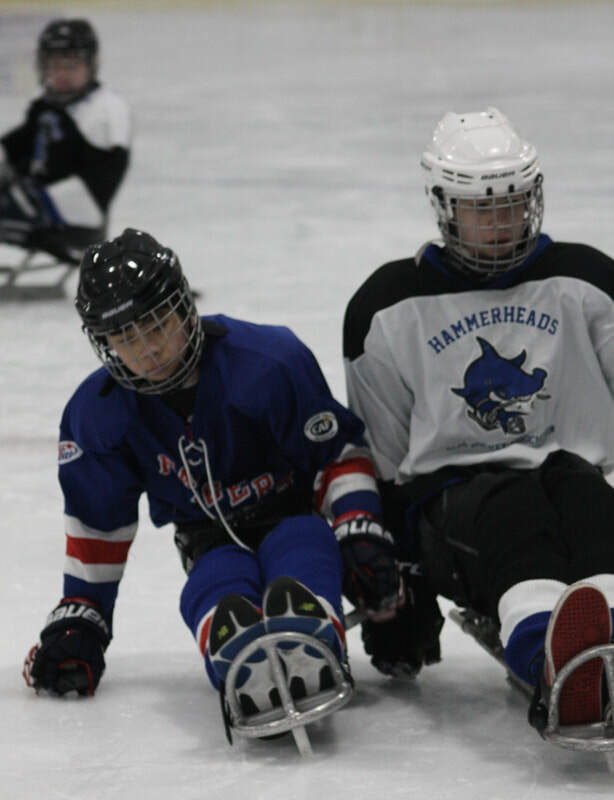 Our junior Sled Ranger team faced off against the Kawartha Blazers, Philadelphia Hammerheads, and NEP Junior Wildcats. 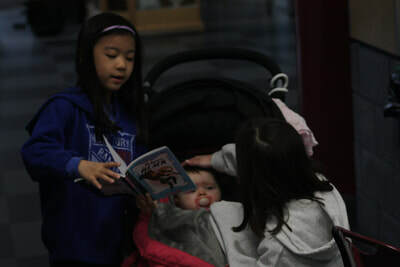 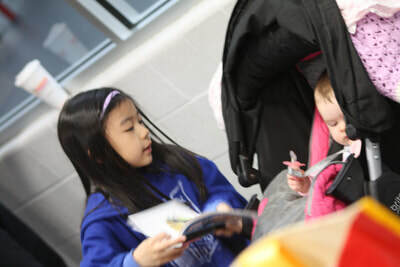 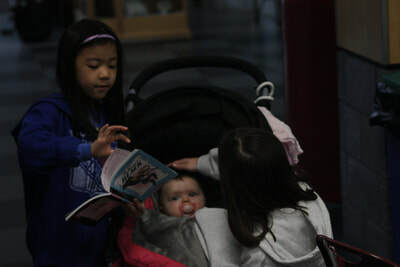 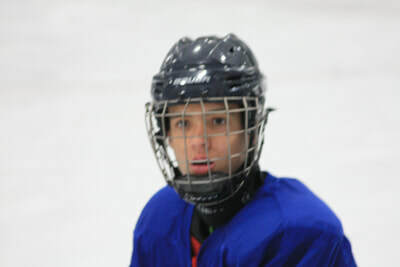 After the near comeback at the York tournament, the team came out a bit at against the Blazers and had to learn that winning takes effort on every shift. We dropped another game against the Hammerheads next but showed much resilience with a close 3-1 game, a huge improvement over the York tournament. 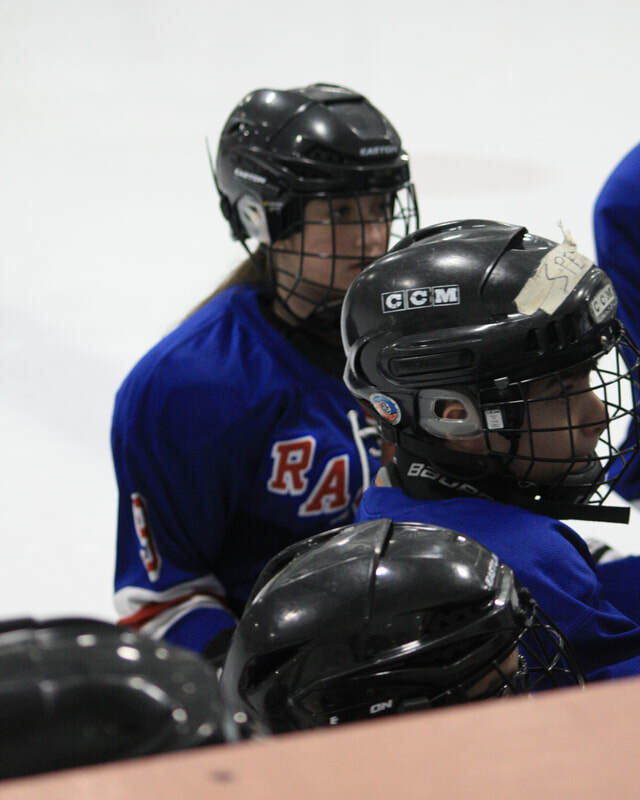 The development was there, but we had yet to win a game. 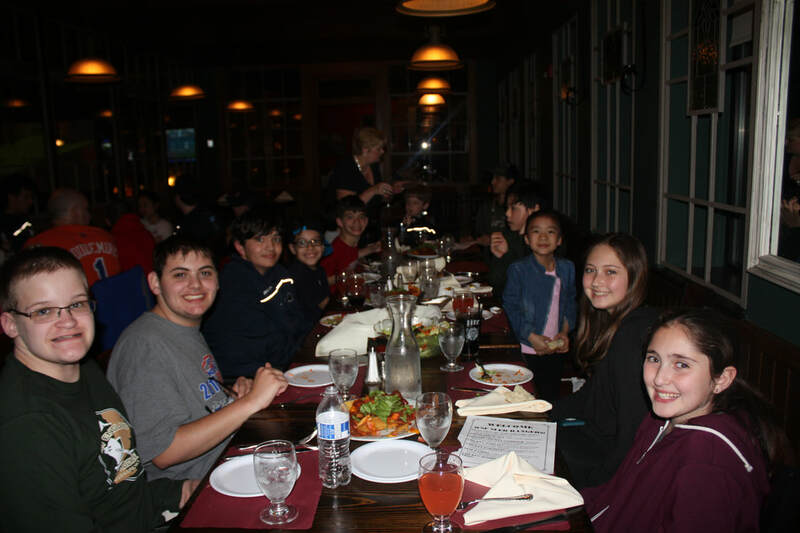 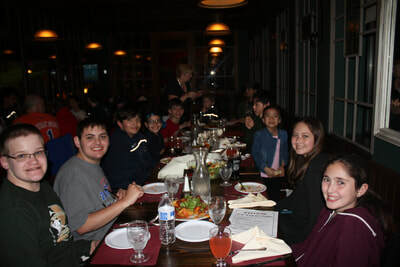 The kids could taste victory and followed it up with two of our best games in the last two years. First, against the NEP Wildcats, we had a generally evenly matched team (exception being their 16 year old national team girl). Even though we went down early 2-0, we fought back and tied the game in the final seconds of the third. 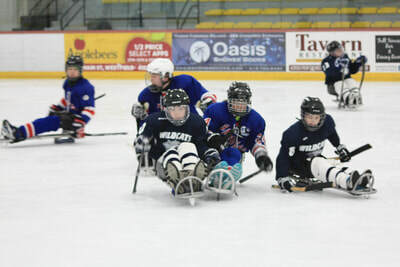 A great way to end the day but had to rest knowing that we’d play the Wildcats again in the 3rd place game. 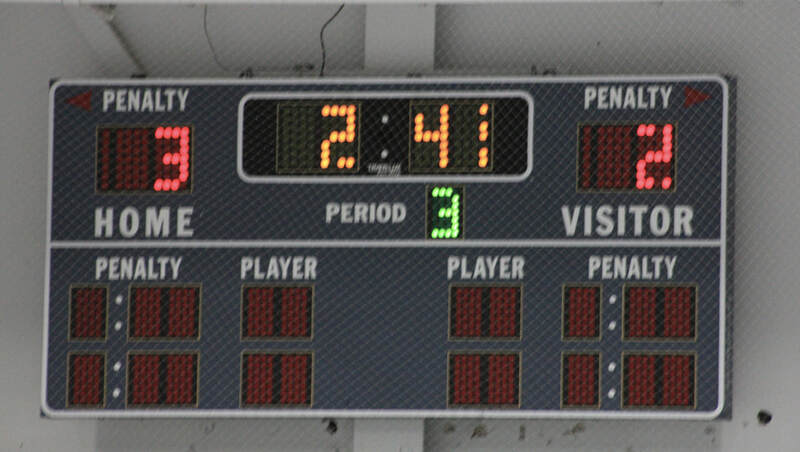 As promised, it was a barn burner. 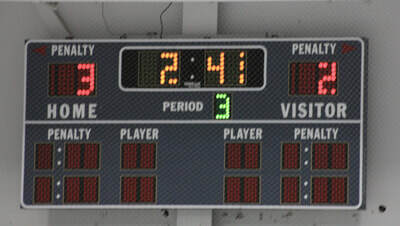 After going down 1-0 early, the team responded with two back to back goals to take the lead. We took advantage of the player matchups and overwhelmed the Wildcats with our swarming power forwards of Sebs, Ailin and Max leading the charge and Matty quarterbacking the team. 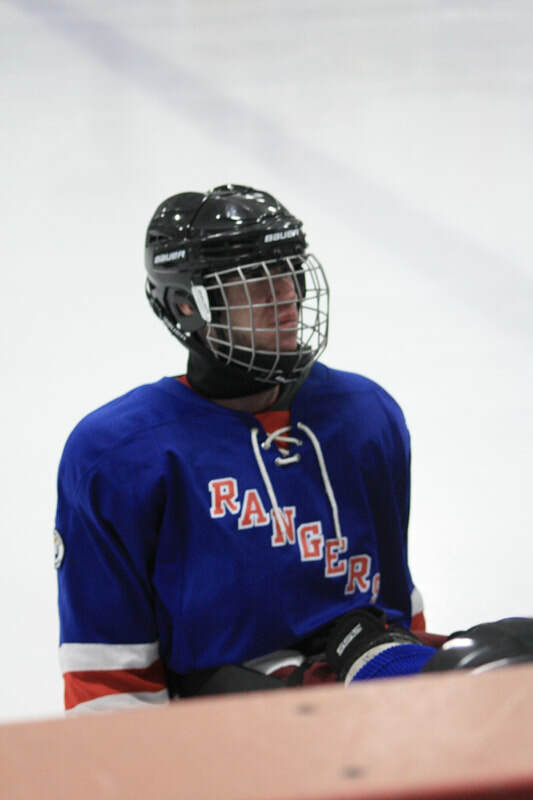 This lead was the rst lead we’ve had in the Amelia Park tournament, but unfortunately, it wasn’t to be the rst win. With less than one minute left in the game, the Knights star player got away and buried the puck to tie the game. 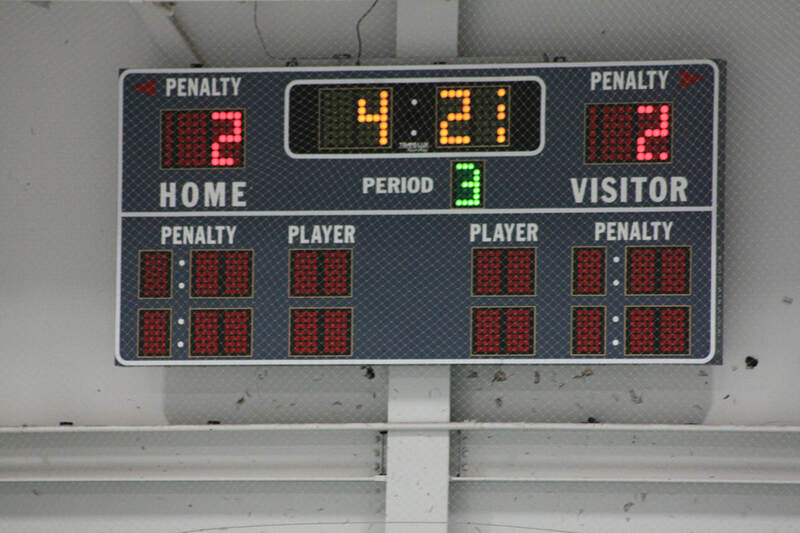 We walked away with our heads held high, a 0-2-2 record, and a tie for third place (although debatably it was ours).